(130). 07th Jan 2019-13th Jan 2019: Debate on Environmental Hazard-Part-(05) Pg.05 (pdf) / pg.05 (jpg) . (131). 14th Jan 2019-20th Jan 2019: Debate on Heavy Snowfall in Eorope-Part-(06) Pg.05 (pdf) / pg.05 (jpg) . (132). 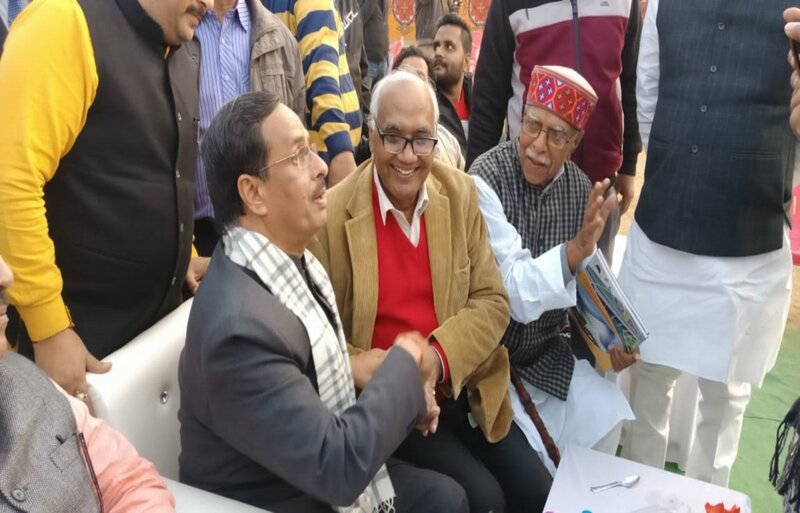 21st Jan 2019-27th Jan 2019: Research on Scientific Issues of Kumbh-Part-(01) Pg.05 (pdf) / pg.05 (jpg) . (133). 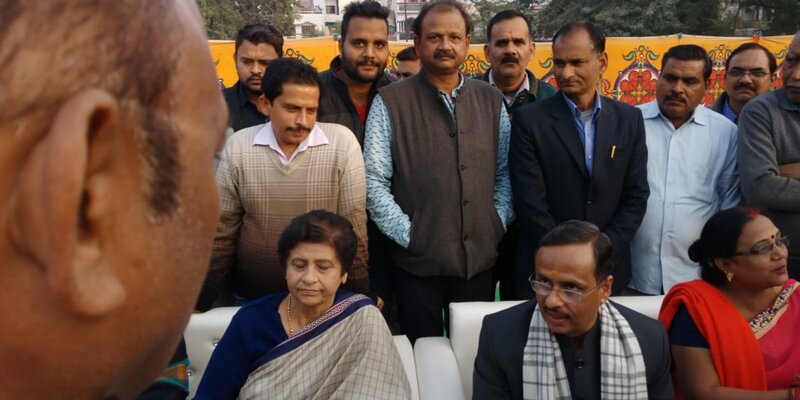 28th Jan 2019-03rd Feb 2019: Research on Scientific Issues of Kumbh-Part-(02) Pg.05 (pdf) / pg.05 (jpg) . (134). 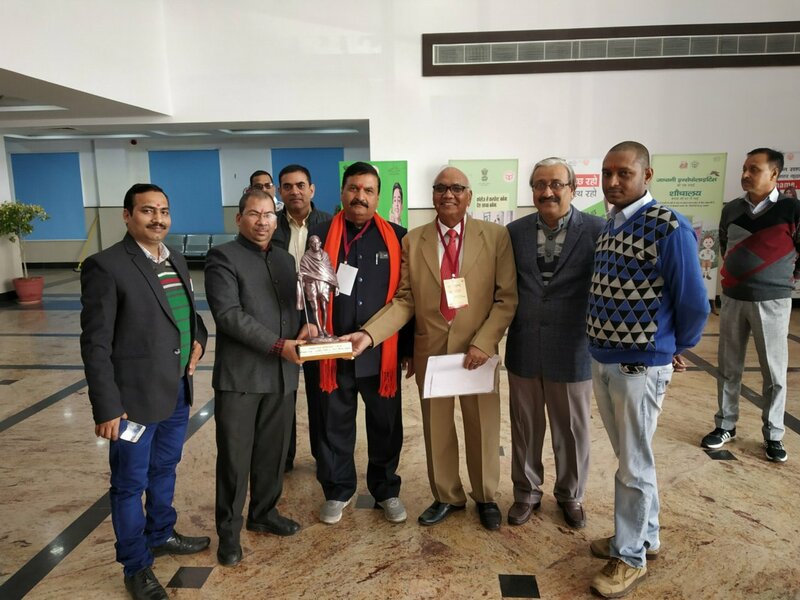 04th Feb 2019-10th Feb 2019: Research on Scientific Issues of Kumbh-Part-(03) Pg.05 (pdf) / pg.05 (jpg) . (135). 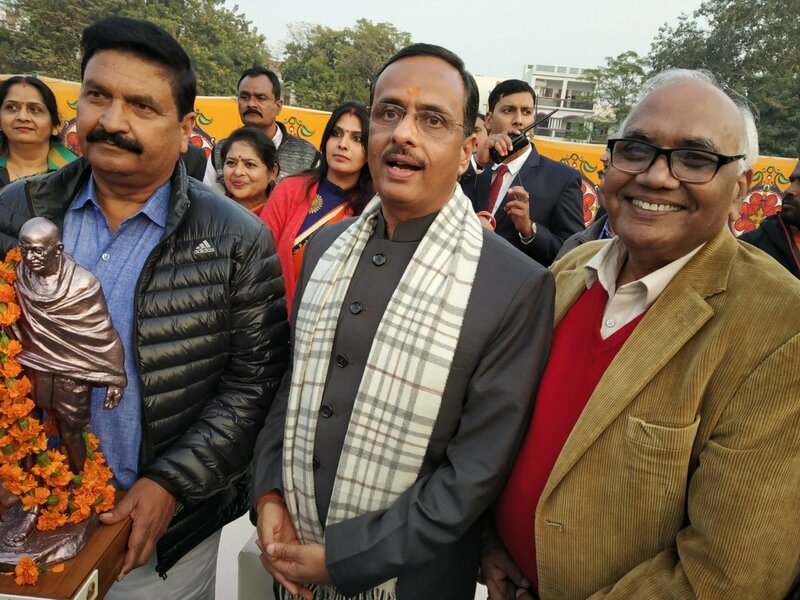 11th Feb 2019-17th Feb 2019: Research on Scientific Issues of Kumbh-Part-(04) Pg.05 (pdf) / pg.05 (jpg) . (136). 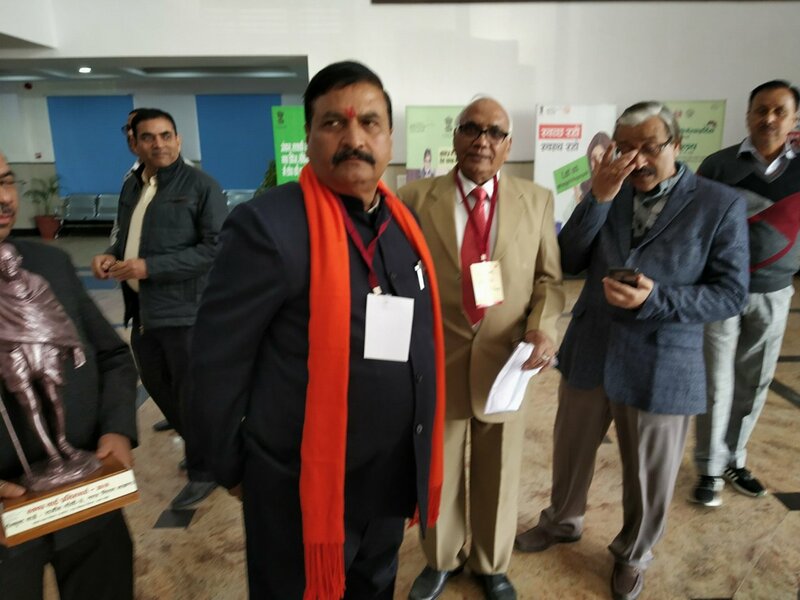 18th Feb 2019-24th Feb 2019: Research on Scientific Issues of Kumbh-Part-(05) Pg.05 (pdf) / pg.05 (jpg) . (137). 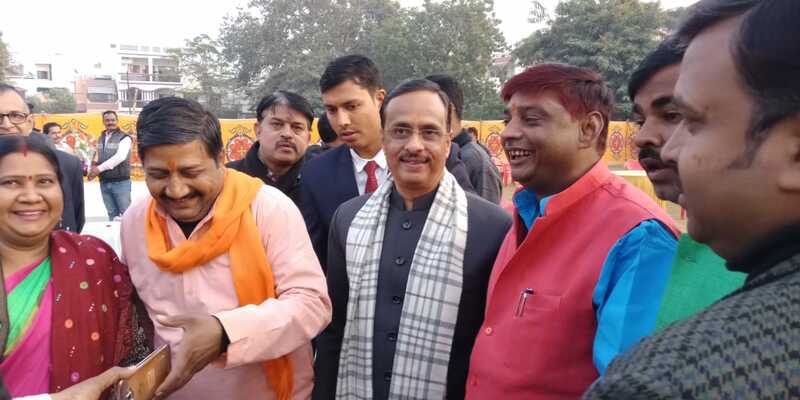 25th Feb 2019-03th Mar 2019: Research on Scientific Issues of Kumbh-Part-(06) Pg.05 (pdf) / pg.05 (jpg) . (138). 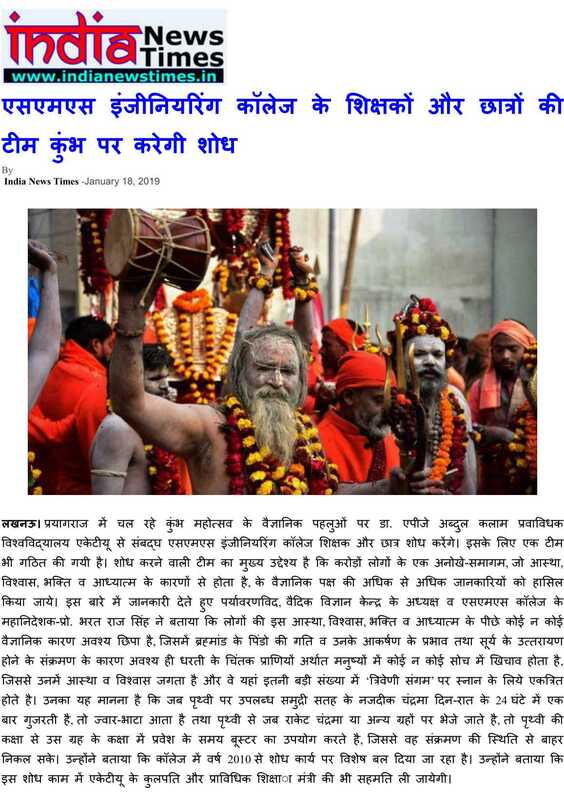 04th Mar 2019-10th Mar 2019: Research on Scientific Issues of Kumbh-Part-(07) Pg.05 (pdf) / pg.05 (jpg) . (139). 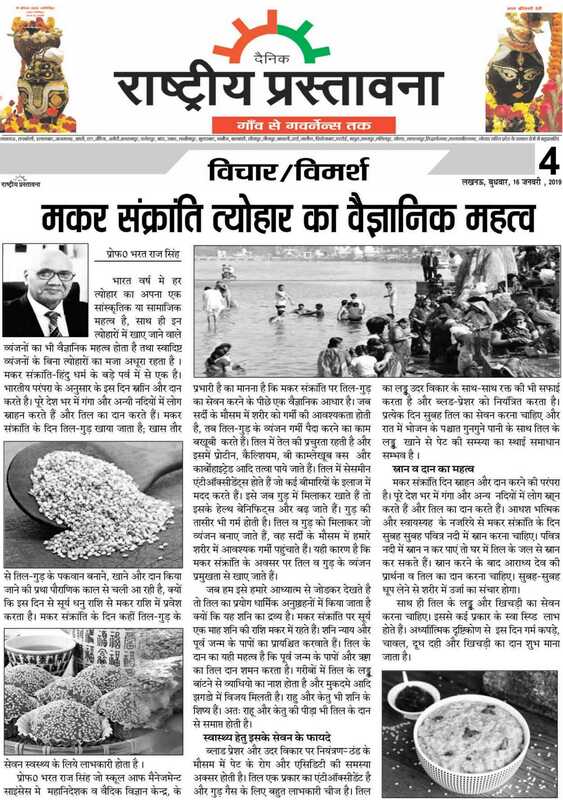 11th Mar 2019-17th Mar 2019: Research on Scientific Issues of Kumbh-Part-(08) Pg.05 (pdf) / pg.05 (jpg) . (140). 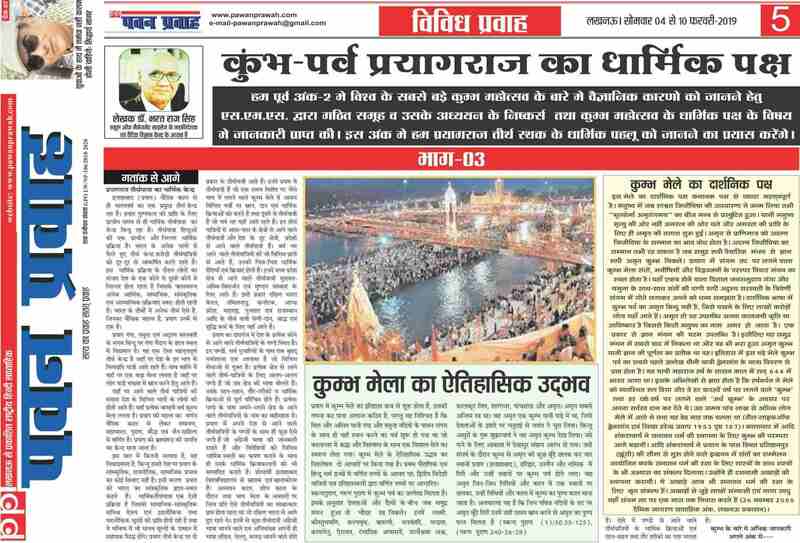 18th Mar 2019-24th Mar 2019: Research on Scientific Issues of Kumbh-Part-(09) Pg.05 (pdf) / pg.05 (jpg) . (141). 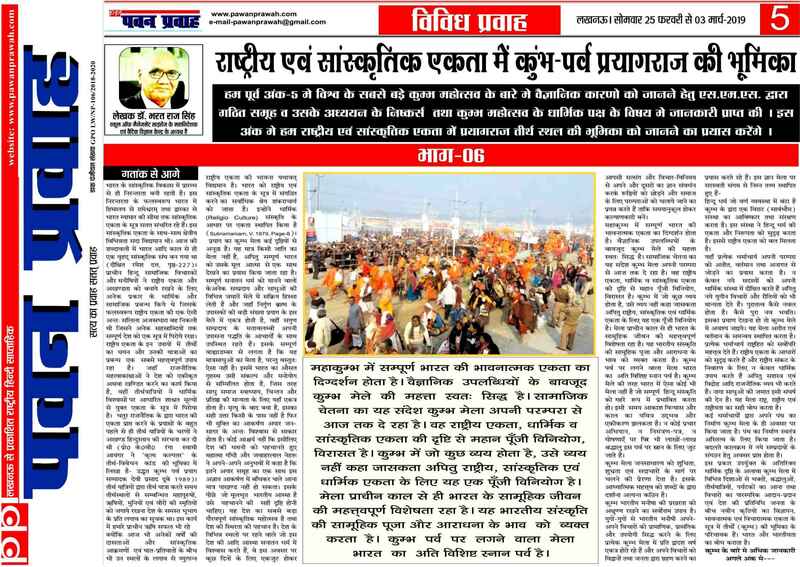 25th Mar 2019-31st Mar 2019: Research on Scientific Issues of Kumbh-Part-(10) Pg.05 (pdf) / pg.05 (jpg) . (142). 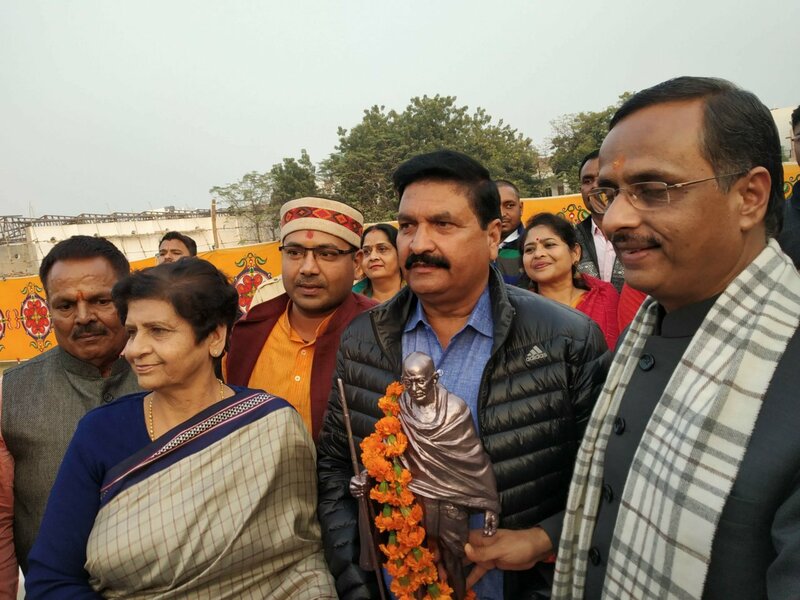 01st Apr 2019-06th Apr 2019: Research on Scientific Issues of Kumbh-Part-(11) Pg.05 (pdf) / pg.05 (jpg) . 25th-30th Dec 2018: Photographs:: 01 / 02 / 03 / 04 / 05 / 06 / 07 / 08 / 09 / 10 / 11 / 12 / 13 / 14 / 15 / 16 / 17 / 18 / 19 / 20 / 21 / 22 / 23 / 24 / 25 / 26 / 27 / 28 / 29 / 30 / 31 / 32 / 33 / 34 / 35 / 36 / 37 / 38 / 39 / 40 / 41 . 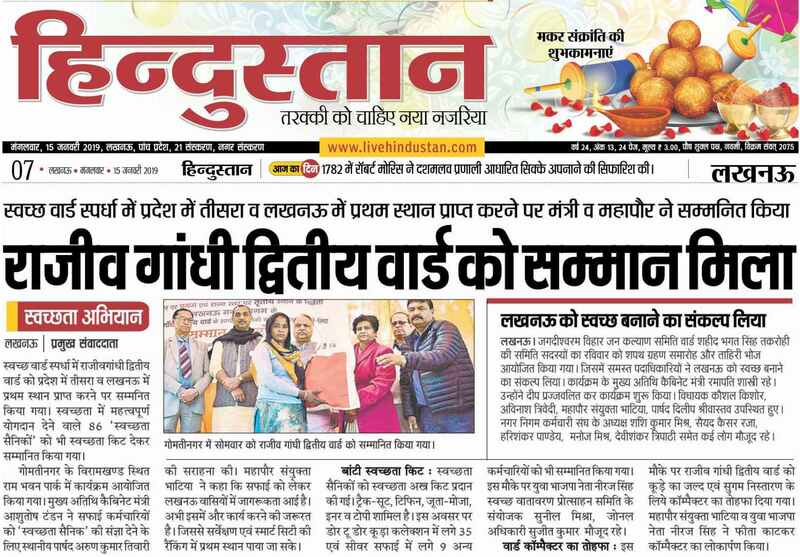 14th Jan 2019: Distribution of Kit to Swakshata Sainik:: i).Dainik Jagran pdf(Page 06) / jpg(Pg 06) / ii). Hindustan pdf(Page 04) / jpg(Pg 04) / iii). 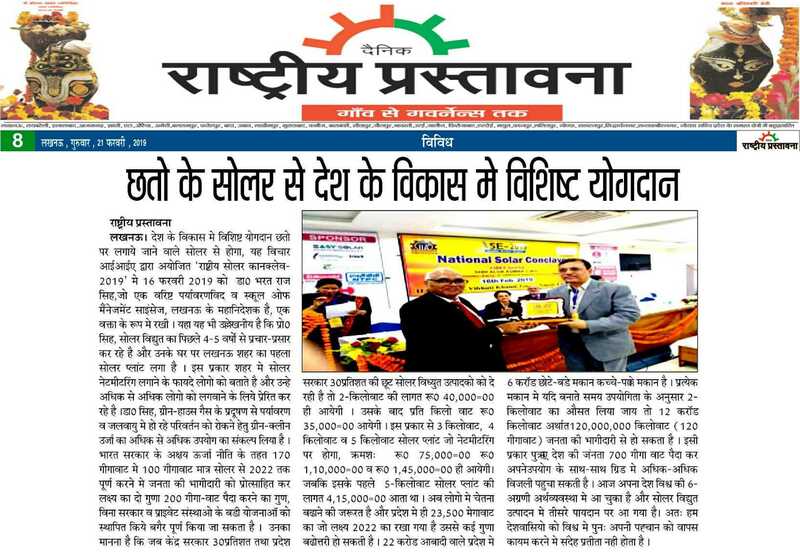 Nav Bharat Times pdf(Page 06) / jpg(Pg 06) . 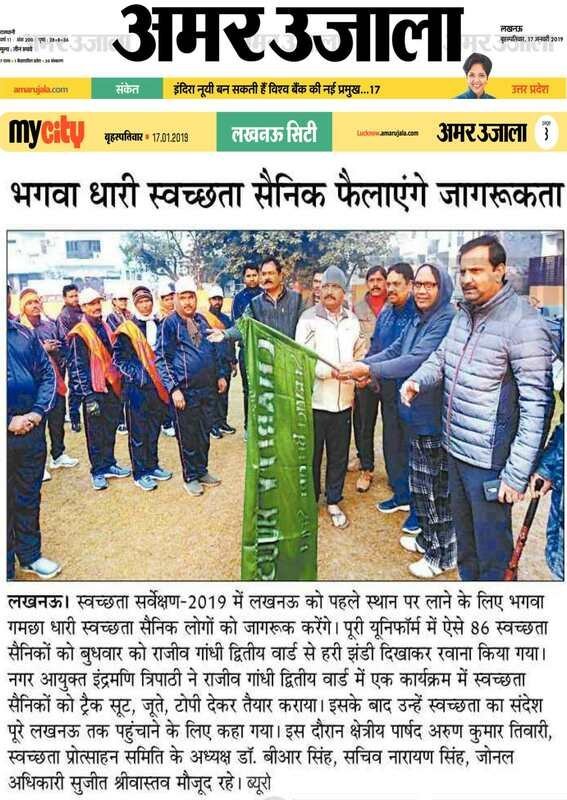 16th Jan 2019: Flag March of Swakshata Sainik:: i).Dainik Jagran pdf(Jagran City Pg IV) / jpg(Jagran City Pg IV) / ii). 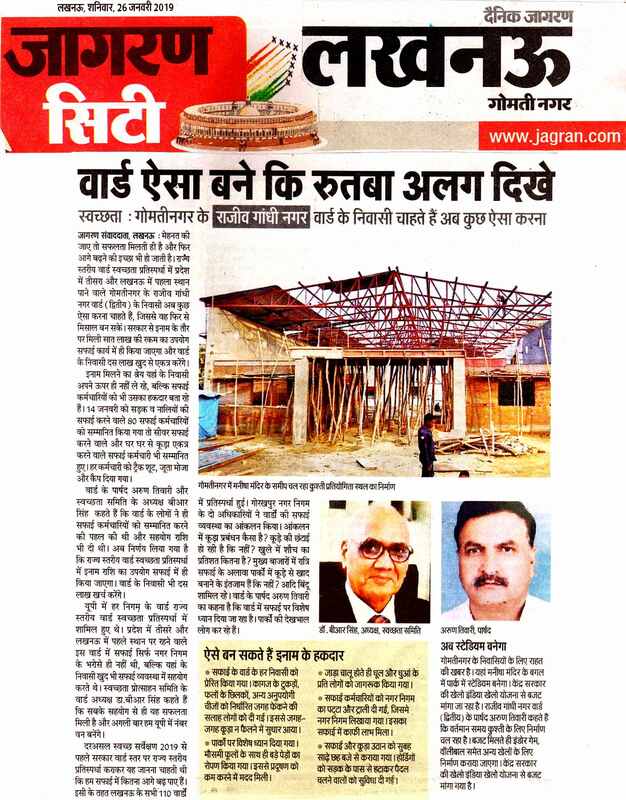 Amar Ujala pdf(myCity Pg 03) / jpg( myCity Pg 03) / iii). 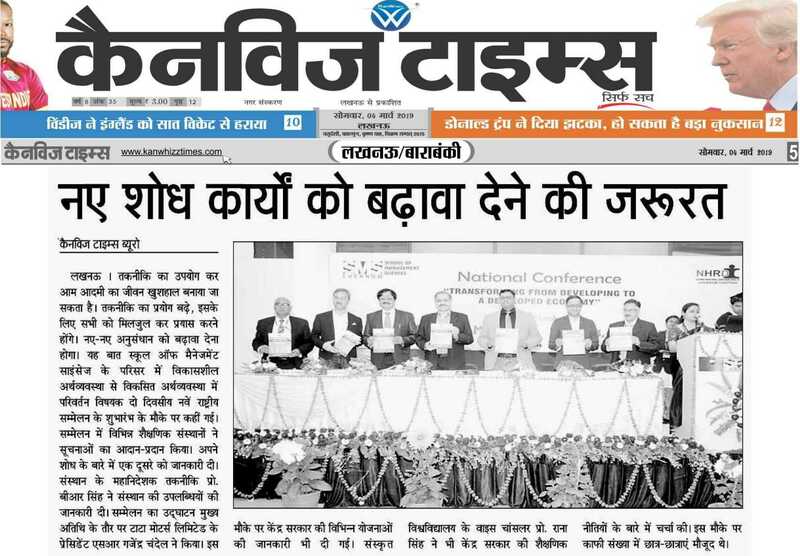 Nav Bharat Times pdf(Page 06) / jpg(Pg 06) / iii). Hindustan pdf(Page 06) / jpg(Pg 06) . 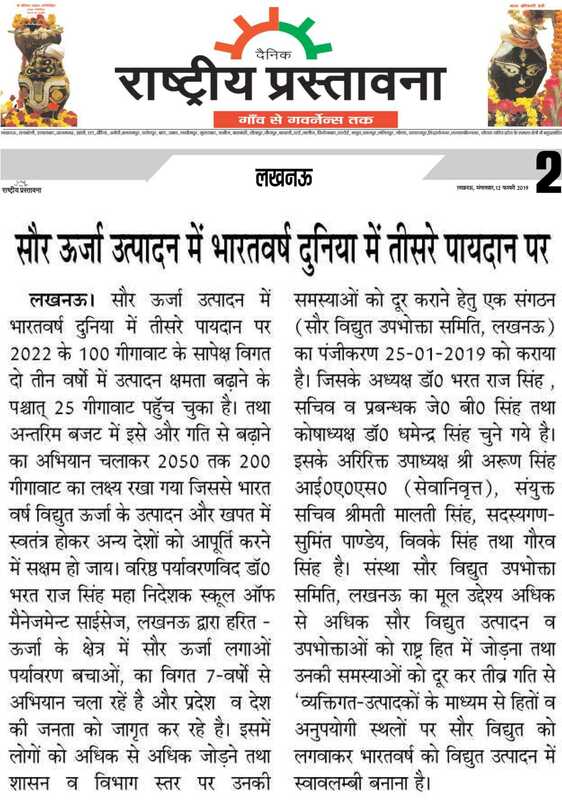 19th Jan 2019: Message to Public regarding Swakshata by Dr Bharat Raj Singh:: (i) Hindustan pdf(Page 10) / jpg(Pg 10) . 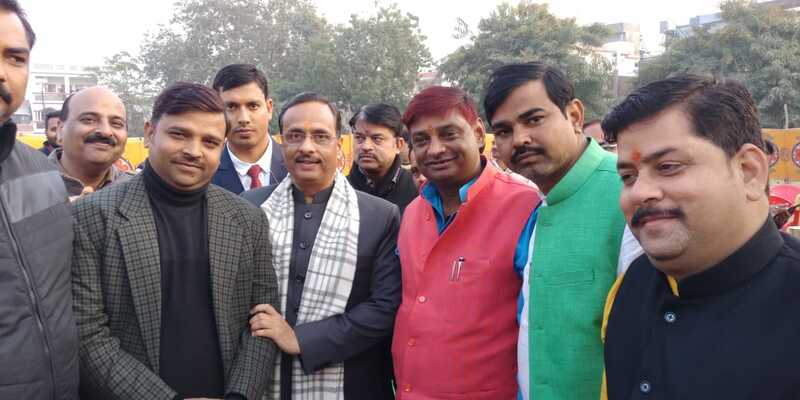 26th Jan 2019: Message to Public regarding Swakshata by Dr Bharat Raj Singh:: (i) Dainik Jagran pdf(Jagran City Pg-I) / jpg(Jagran City Pg-I) . 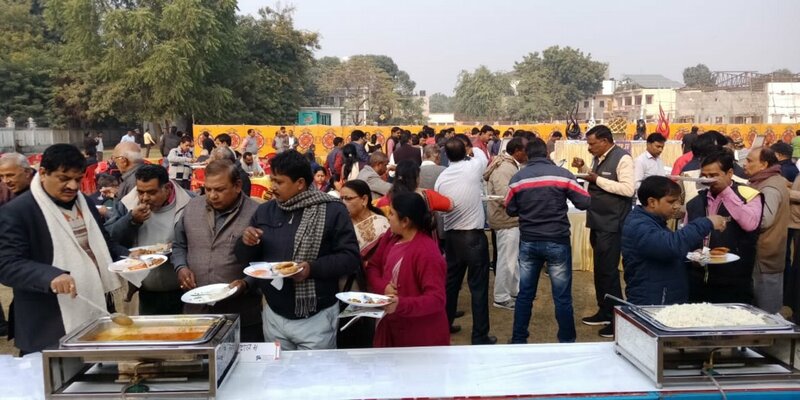 Scientific Reason for Eating Til & Gur during Makar Sankranti Prof. Bharat Raj Singhj, Director General(Tech) has elaborated about the benefits of taking Til & Gur during Makar Sankranti on 14th January 2019. 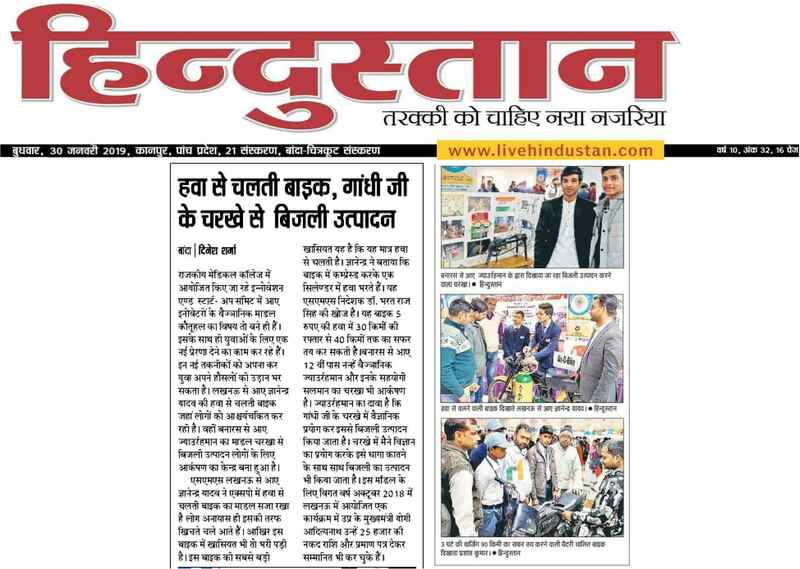 14th Jan 2019: Hindustan, Lucknow pdf(Page 21) / jpg(Pg 21) / 16th Dec 2019: ii). Rashtriya Prastavana pdf(Page 04) / jpg(Pg 04) / iii). 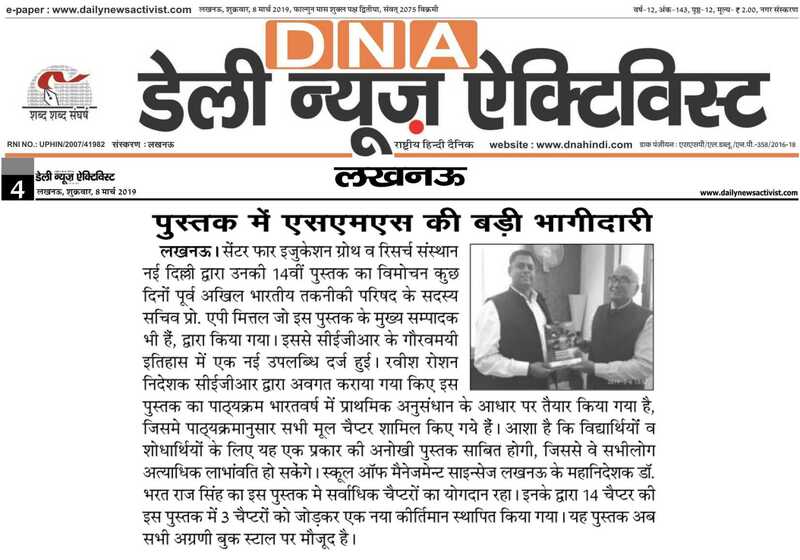 Dainik Prabhat pdf(Page 02) / jpg(Pg 02) . 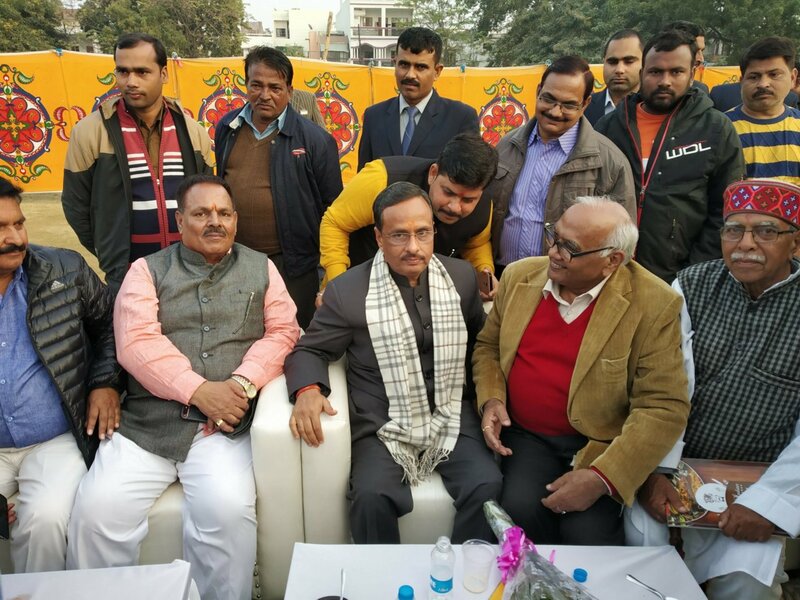 A committee is formed by School of Management Sciences, Lucknow under the aegis of Vaidik Science Centre to explore possibility of scientific evidences pertaing to Kumbh Mahotsav where millions of pilgrims assemble from Makar Sankranti and took bath in HolY Triveni Sangam under the guidence of Prof. Bharat Raj Singhj, Director General(Tech), SMS, Lucknow on 18th January 2019 alongwith 20-25 students and 3-faculty team. 18th Jan 2019: i). 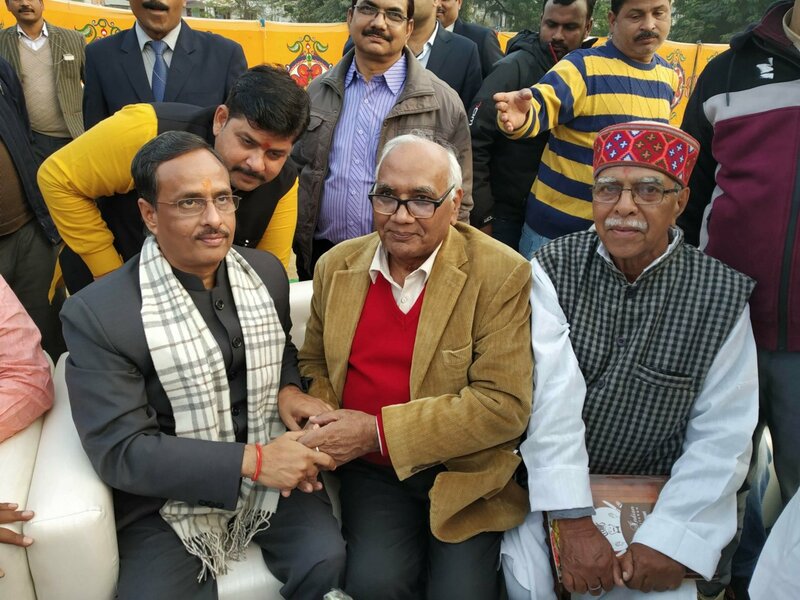 India News Times, Lucknow pdf / jpg / ii). 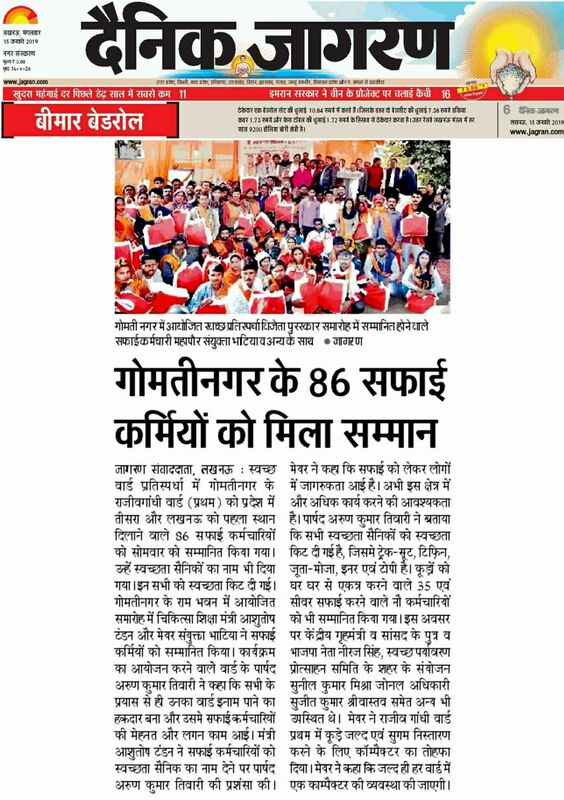 Dainik Prabhat, Lucknow pdf(Page 02) / jpg(Pg 02) / iii). 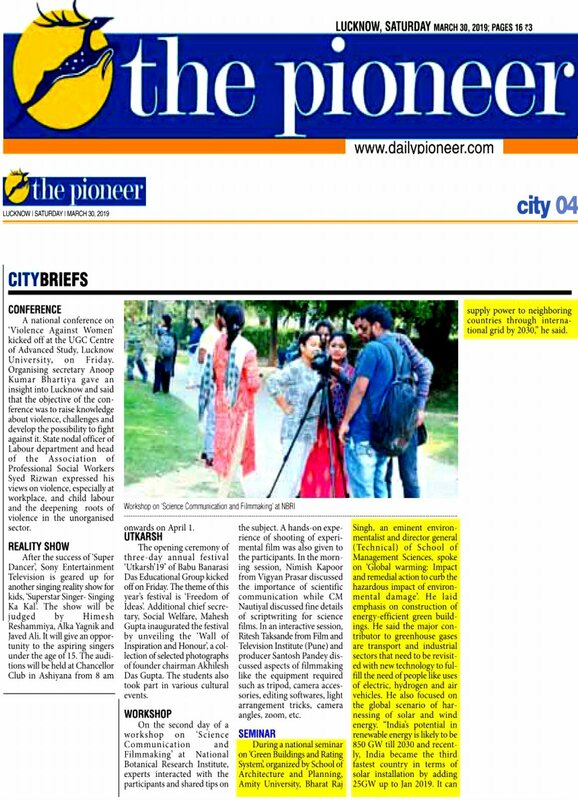 Pioneer English, Lucknow pdf(Page 04) / jpg(Pg 04) / iv). Rastriya Prastavana, Lucknow pdf(Page 08) / jpg(Pg 08) . 19th Jan 2019: i). 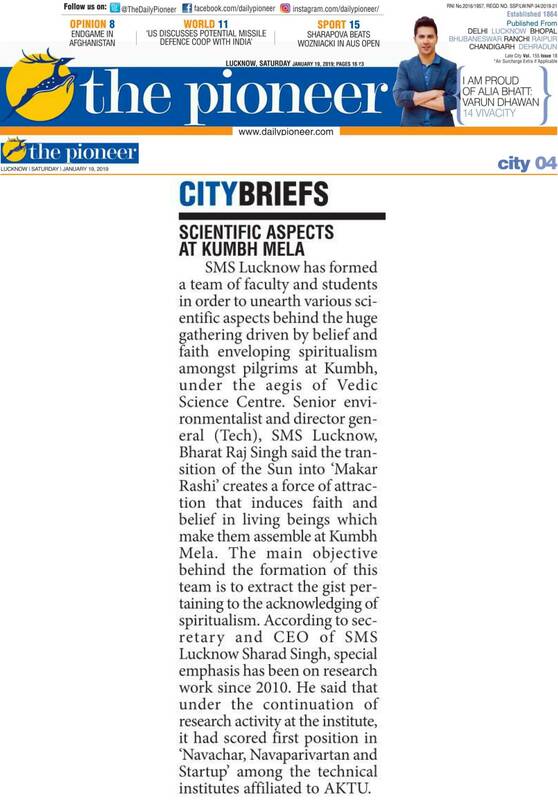 Daily News Actvist, Lucknow pdf(Page 02) / jpg(Pg 02) / ii). 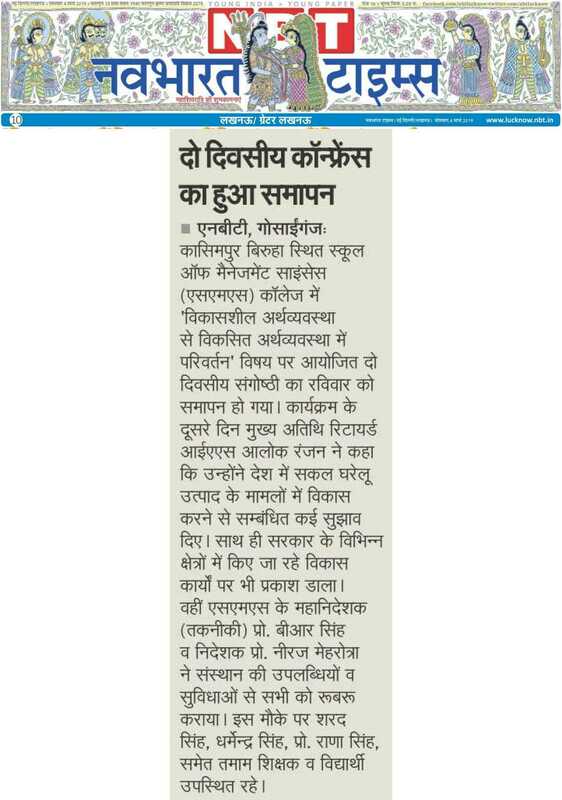 Dainik Prabhat, Lucknow pdf(Page 02) / jpg(Pg 02) / iii). 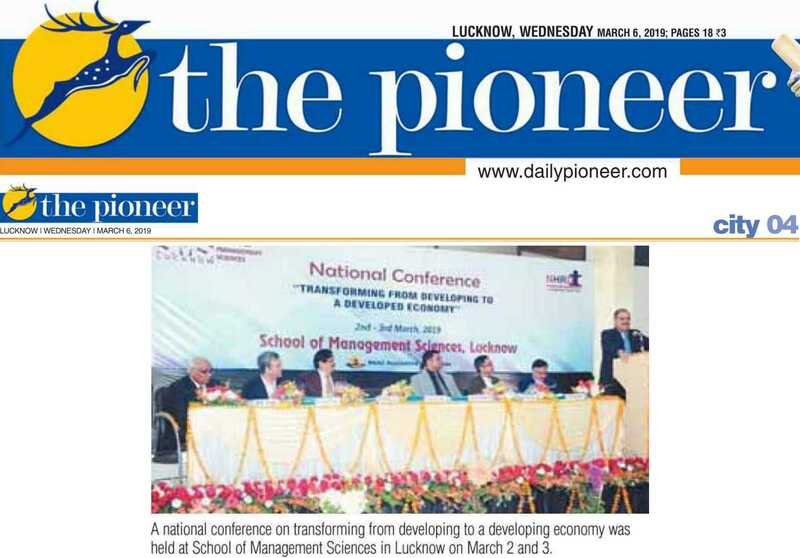 Pioneer English, Lucknow pdf(Page 04) / jpg(Pg 04) / iv). Rastriya Prastavana, Lucknow pdf(Page 08) / jpg(Pg 08) . 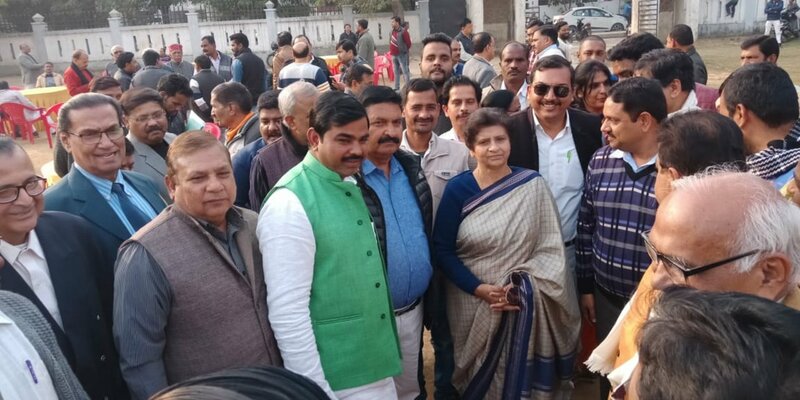 20th Jan 2019: v). 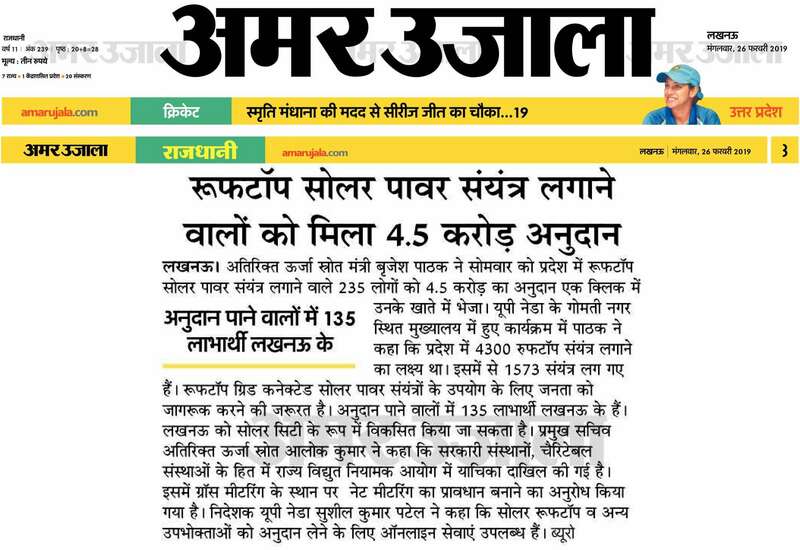 Amar Ujala pdf(Page 04) / jpg(Pg 04) / vi). 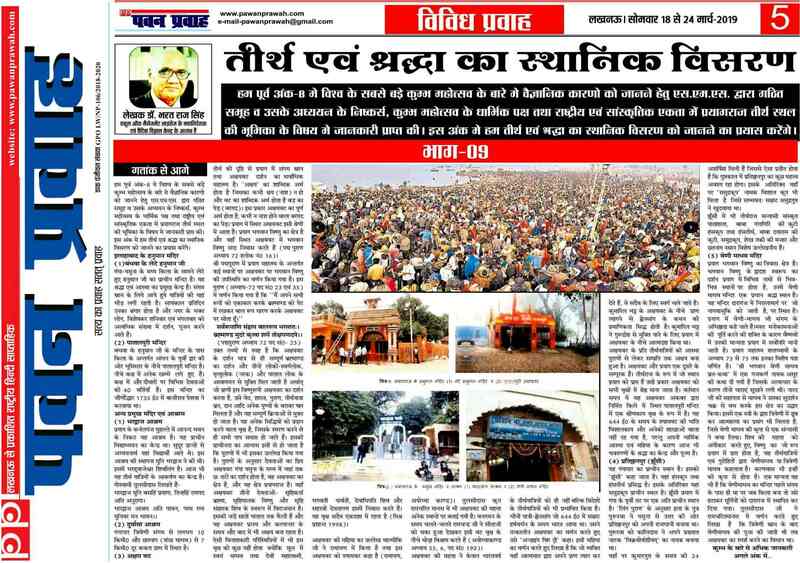 Hindustan, Lucknow pdf(Page 21) / jpg(Pg 21) . 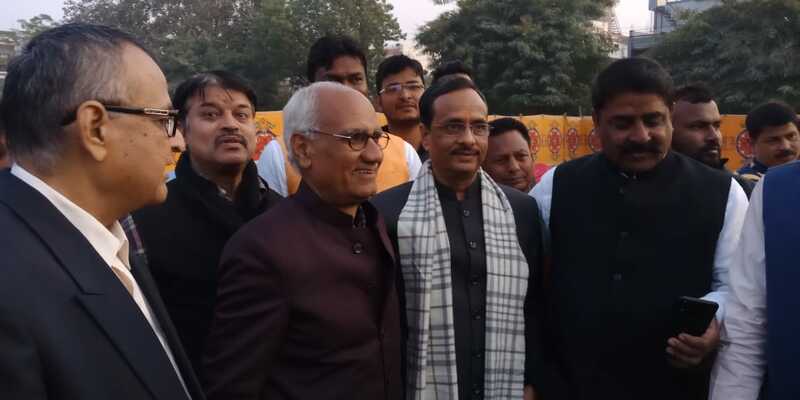 05th Feb 2019: vii). 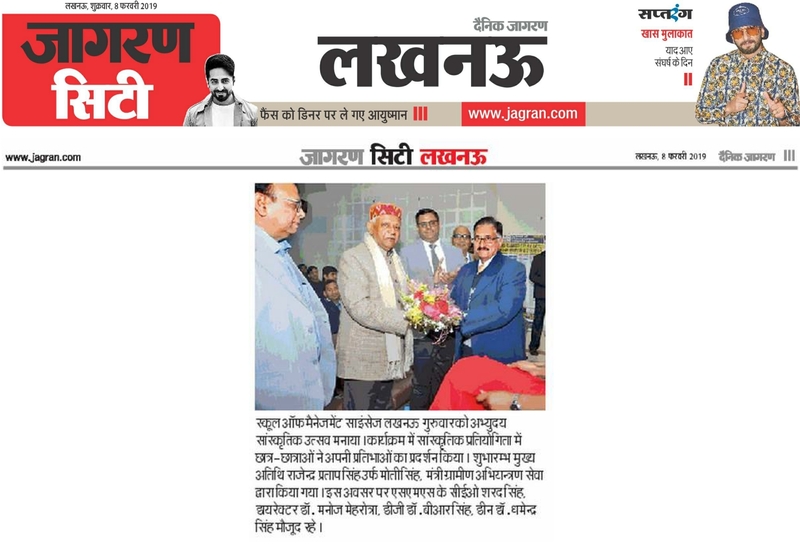 Dainik Prabhat pdf(Page 02) / jpg(Pg 02) / 06th Feb 2019: viii). Rastriya Prastavana pdf(Page 08) / jpg(Pg 08) / 12th Feb 2019: ix). Rastriya Prastavana pdf(Page 04) / jpg(Pg 04) . 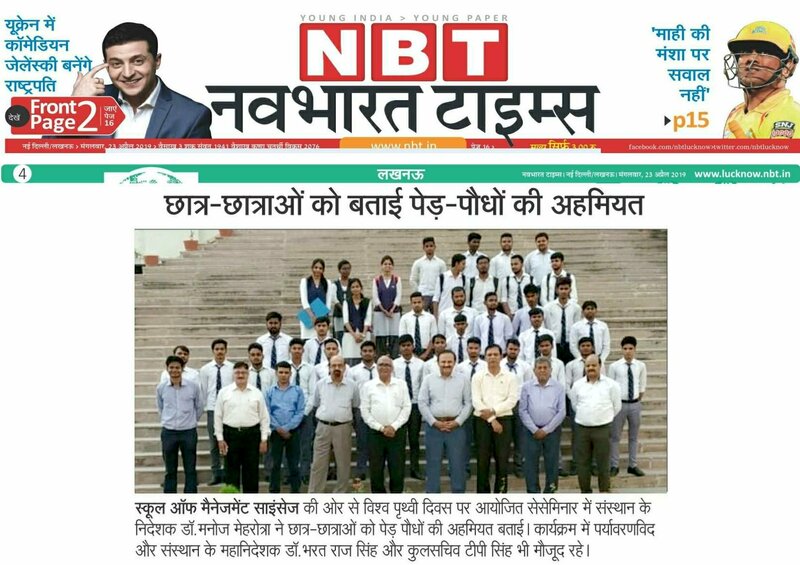 School of Management Sciences, Lucknow created a landmark in the NPTEL while releasing first kind of its Bulletin about activities being taken up by this NPTEL Centre and applauded by IIT, Kampur and special congratulations to Mr. Samit Srivastav, Coordinator, NPTEL, SMS, Lucknow. 24th Dec 2019: i). 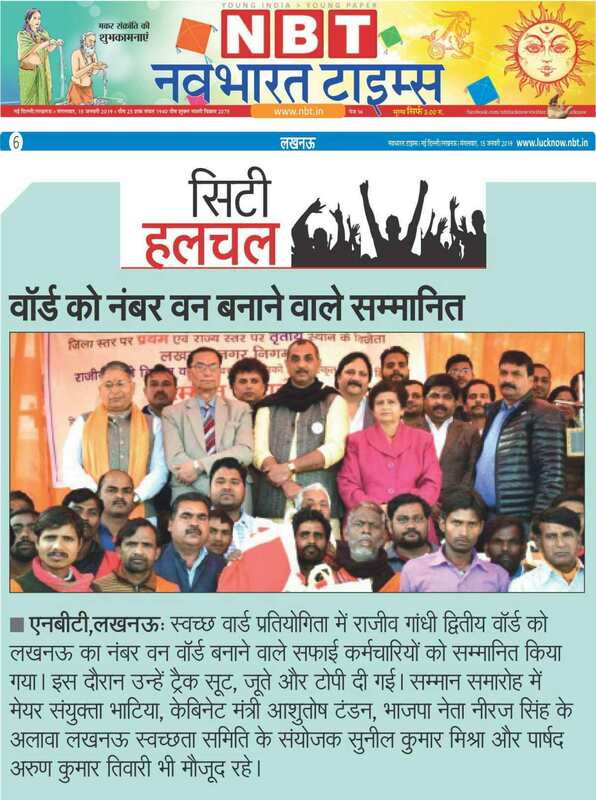 Daily News Actvist, Lucknow pdf(Page 04) / jpg(Pg 04) / ii). 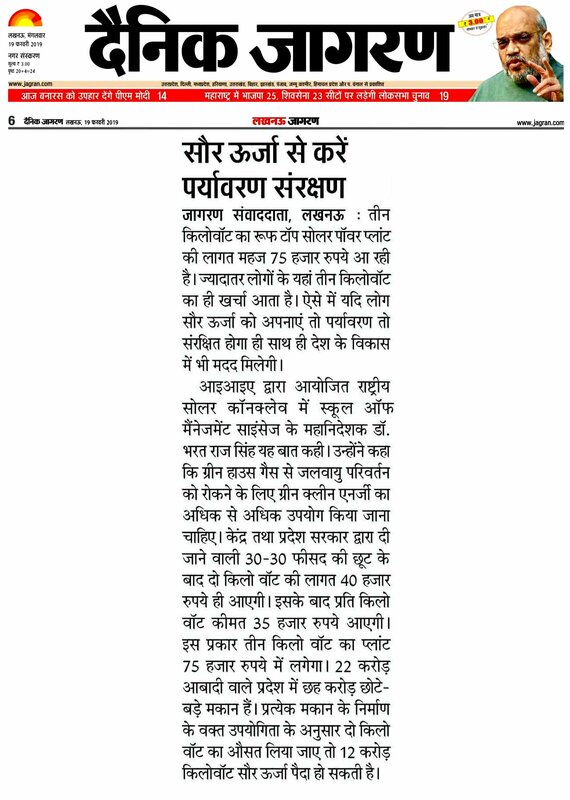 Dainik Prabhat, Lucknow pdf(Page 02) / jpg(Pg 02) . 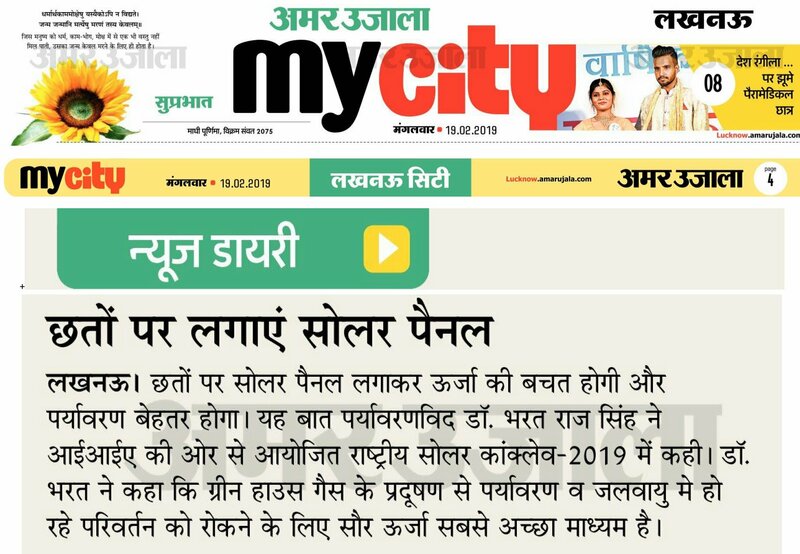 Elsevier Recognized Prof. Bharat Raj Singh as Outstanding Reviewer during Bienial Assessment from 2014-18 , who contribution of Review was to the tune of 149-Research Papers in the Journal Energy(EGY) and 12-Research Papers in the Energy Conversion and Manangement(ECM). 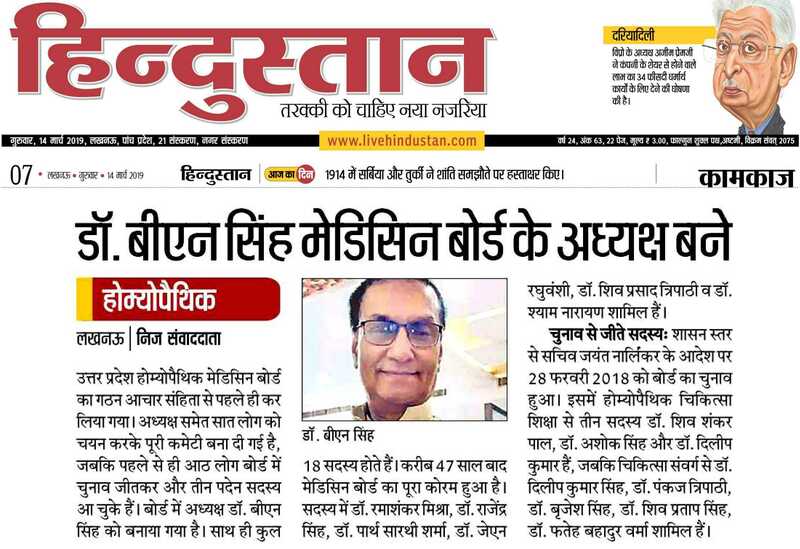 He has also contributed more than 350 Research papers Review in the other leading International papers like: Taylors & Francis, London, American Institute of Physics (AIP), USA; Institute of Mechanical Engineering (IMecH), London, and Asian Journals etc during these period. 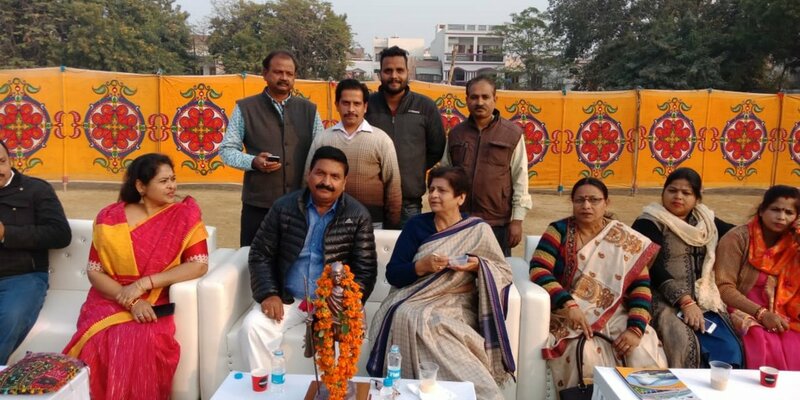 An "Innovation, Incubation Startup UP Summit-2019 , was organised at Rajkiya Medical College, Banada from 28th -30th January 2019 and our team of students participated with Faculty and Staff. Air-O-Bike and Solar Electric Bi-Cycle projects were found most liked projects by Students, Academicians, Govt. 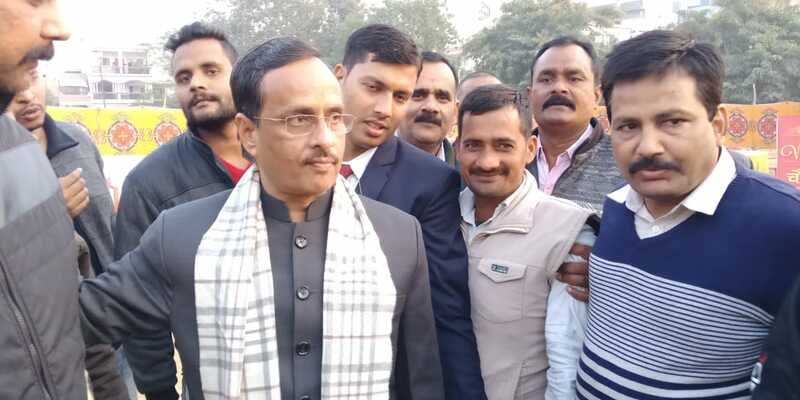 Officers and Public of Banada and nearby Distt. 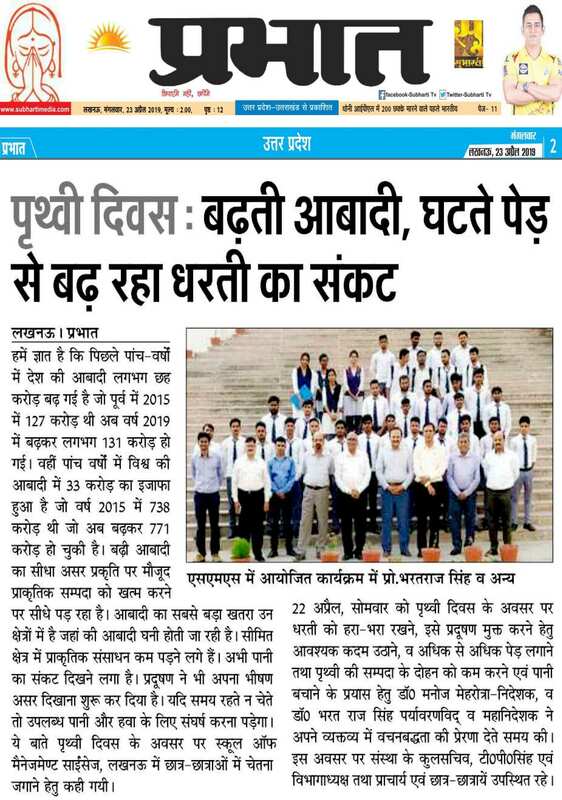 We as SMS express heartfelt congratulations to our team of students. 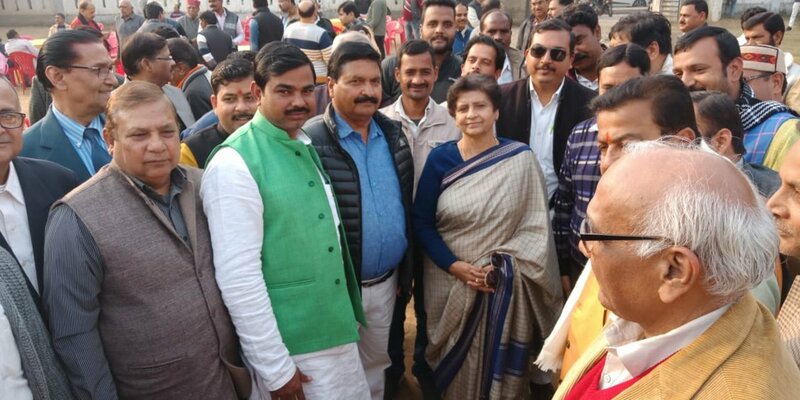 30th Jan 2019 at Banda: i). 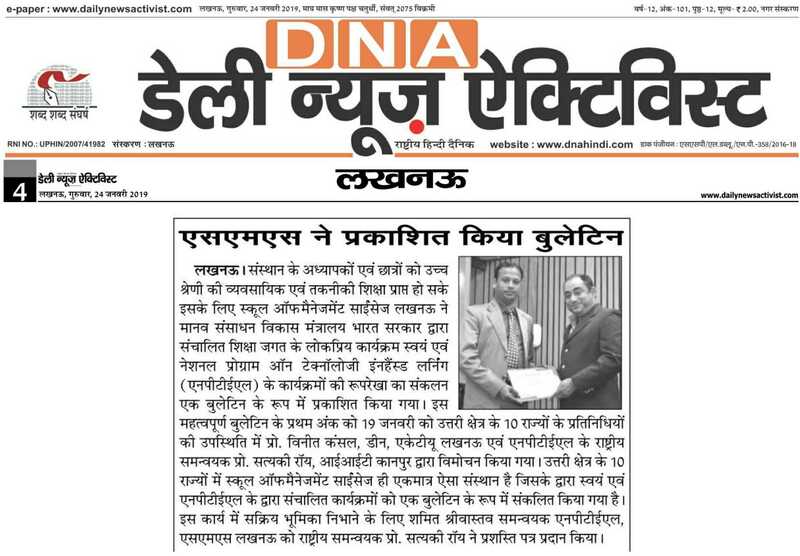 Dainik Jagran, Banda pdf(Page 02) / jpg(Pg 02) / ii). 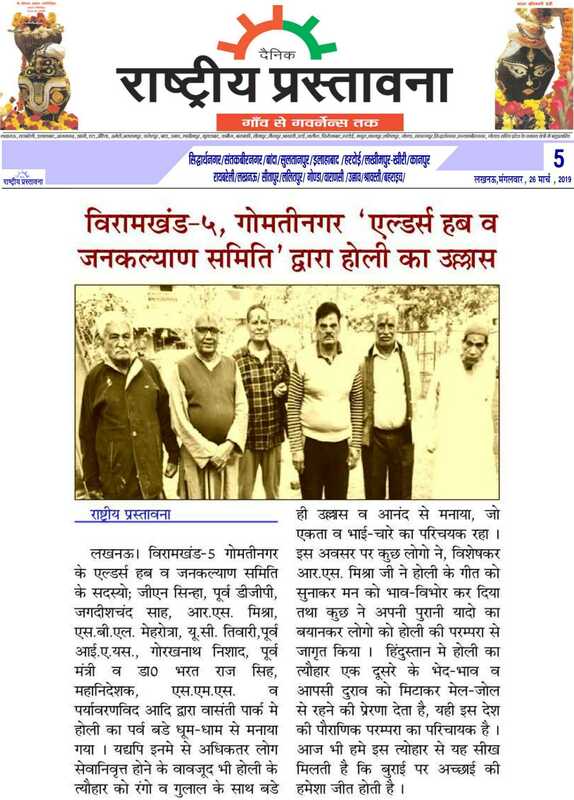 Amar Ujala, Banda pdf(Page 03) / jpg(Pg 03) / iii). Aaj, Banda pdf(Page 05) / jpg(Pg 05) / iv). Hindustan, Banda pdf(Page 21) / jpg(Pg 21) . 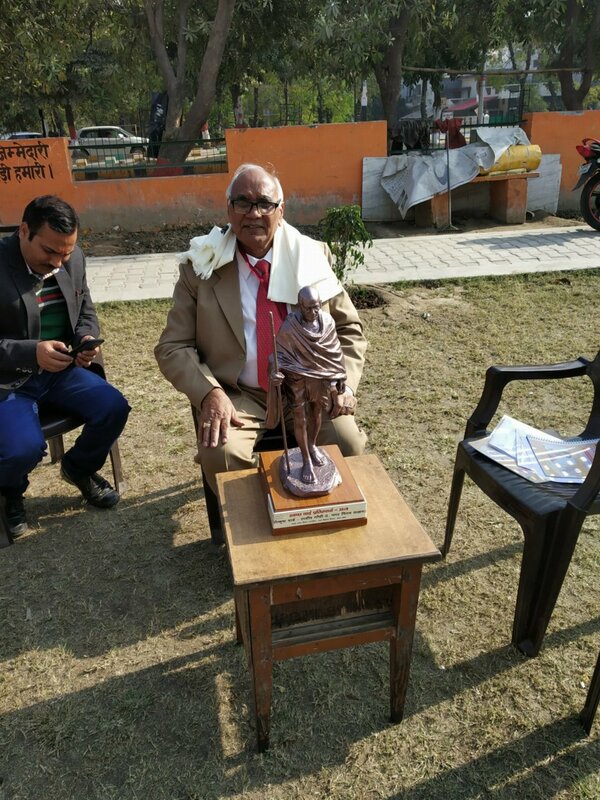 First Annual Day (Abhyuday-2019) , was celebrated on 07th Feb 2019 at School of Management Sciences, Lucknow in which Hon. 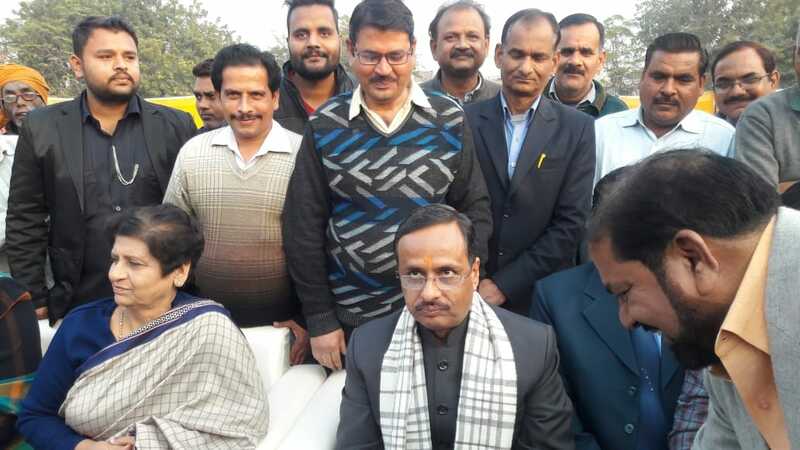 Cabinet Minister (Rural Engg. 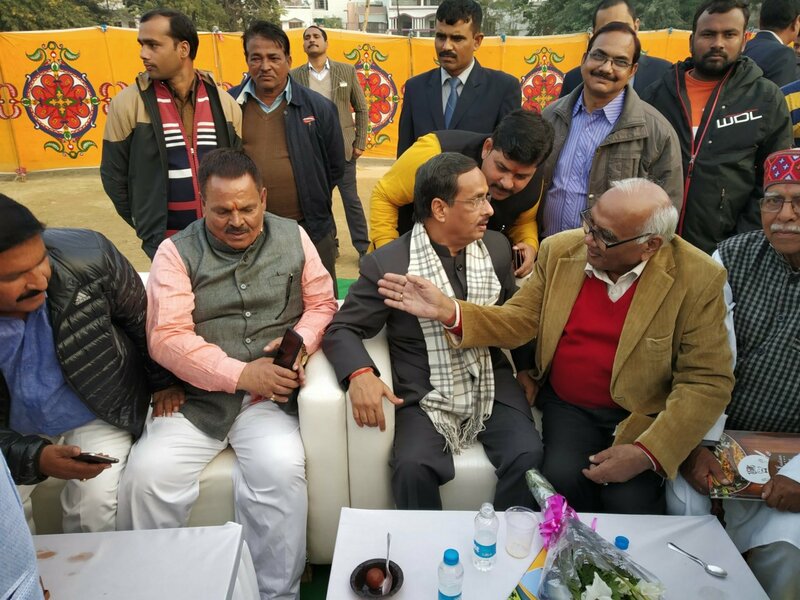 ), Shri Rajendra Prasad Singh (Moti Singh) witnessed as Cheif Guest and Hon. 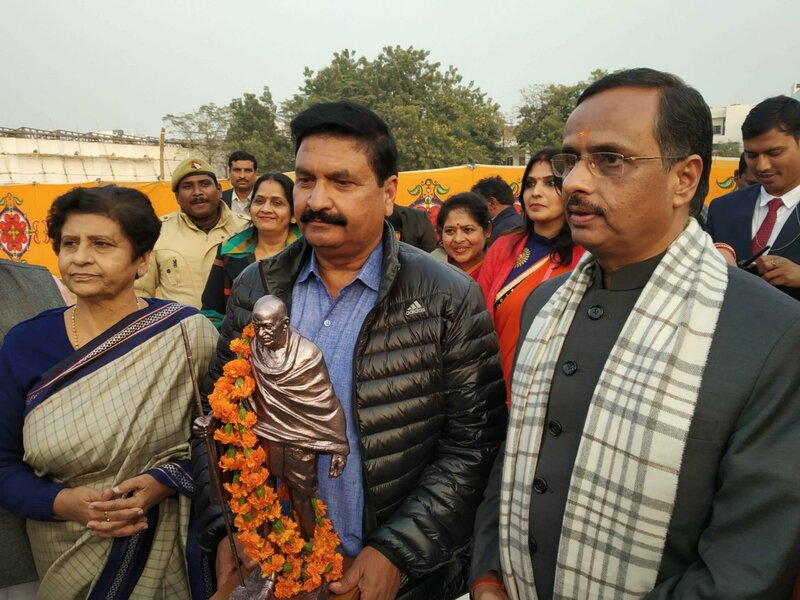 Chairman, SMS Shri SK Singh as Guest of Honour. Students were honoured with prizes and medals for their outsatanding performance. 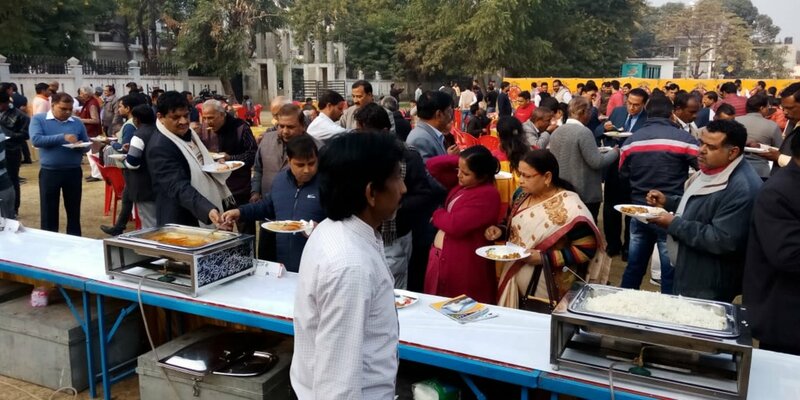 About 11-12 Employees who have completed 10 years their services with loyalty were also honoured with Saal and Momentos. :: Video :: 24th Nov 2018 . 08th Feb 2019: i). 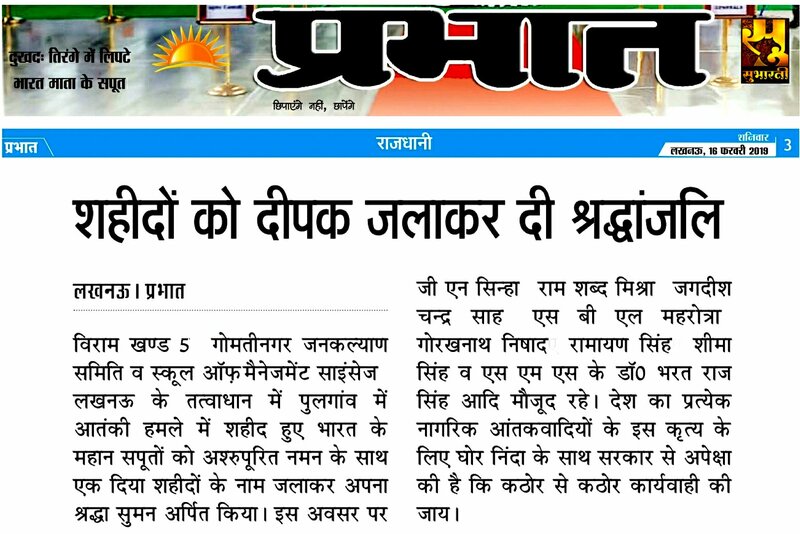 Dainik Jagran pdf(Jagran City Pg III) / jpg(Jagran City Pg III) / ii). Hindustan pdf(Live Pg 26) / jpg( Live Pg 26) / iii). Pioneer Eng pdf(Page 04) / jpg(Pg 26) / iv). 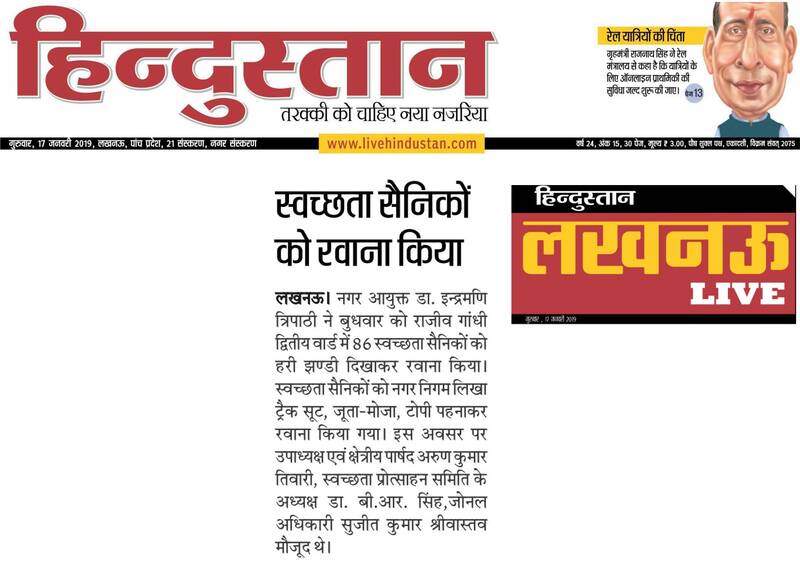 Dainik Prabhat pdf(Page 02) / jpg(Pg 02) . 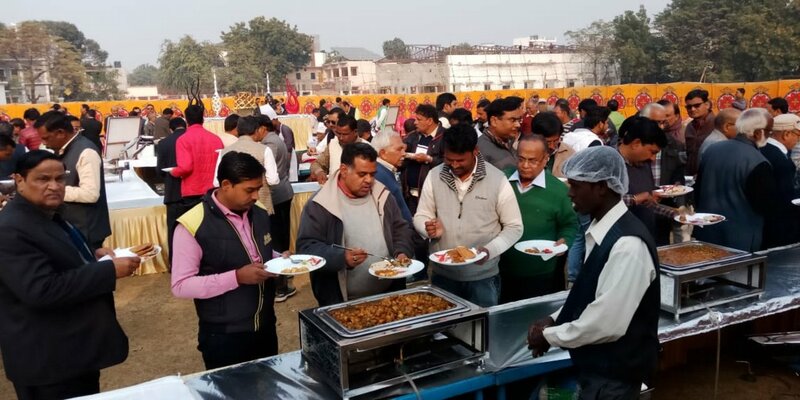 An Organisation "Saur Vidyut Upbhokta Samiti", was got registered on 25th Jan 2019 under Indian Society Act-1956. 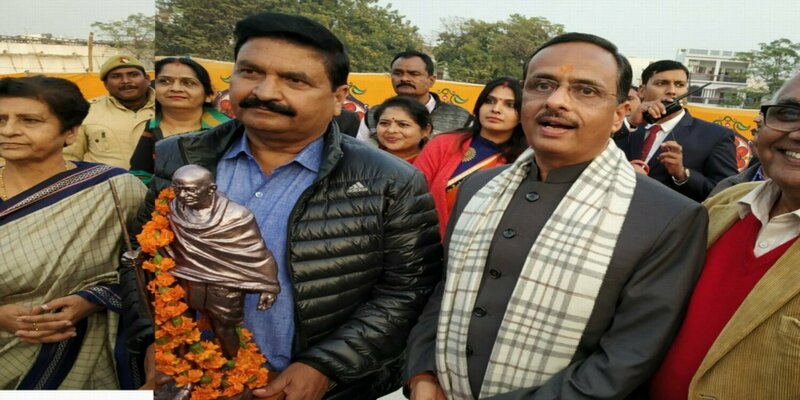 The aim of formation of this Samiti is to promote Installation and reslve the issue of billing, installation of netmetering etc.in the Lucknow City and around , also in the State. 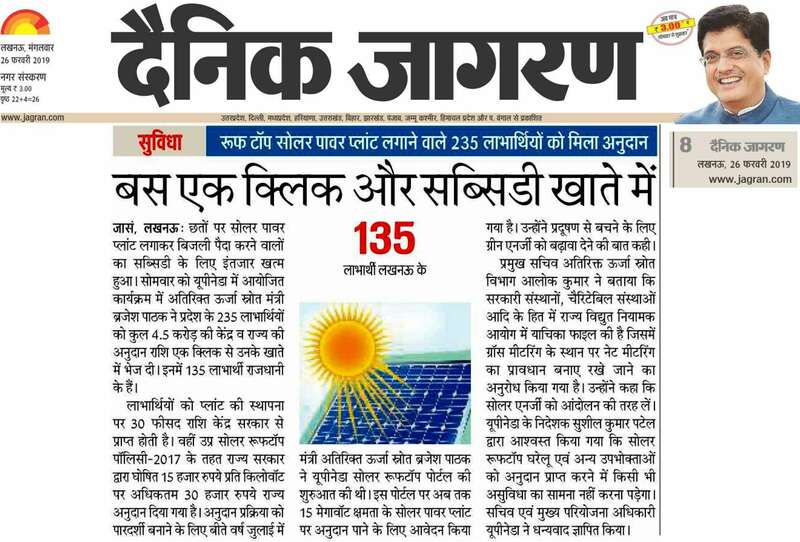 09th Feb 2019: Roof Top Solar subsidy issues: pdf(Jagran City Pg I) / jpg(Jagran City Pg I) . 12th Feb 2019: i). 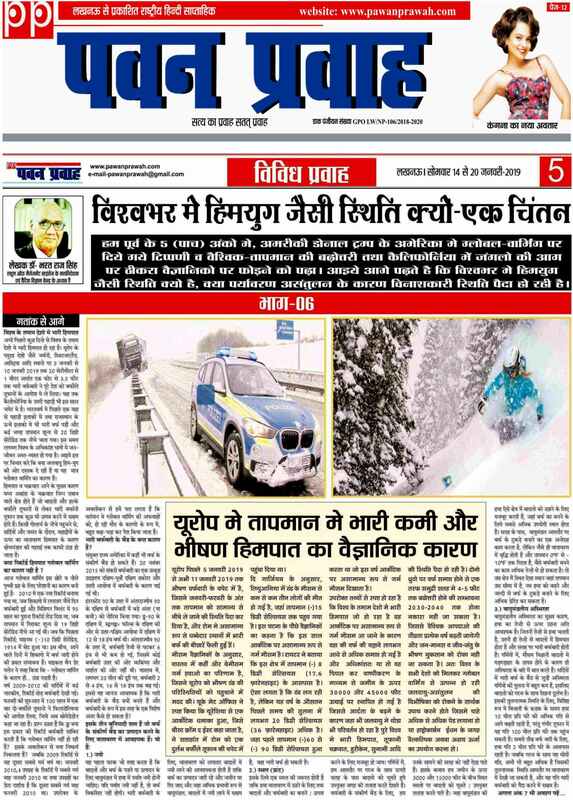 Dainik Jagran pdf(Pg 05) / jpg(Pg 05) / ii). Hindustan pdf(Live Pg 25) / jpg(Pg 25) / iii). 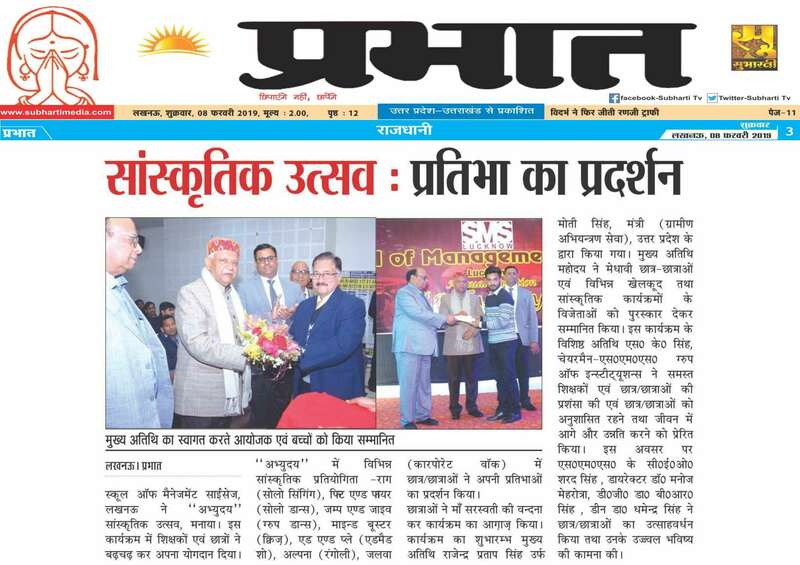 Nav Bharat Times pdf(Page 07) / jpg(Pg 25) / iv). 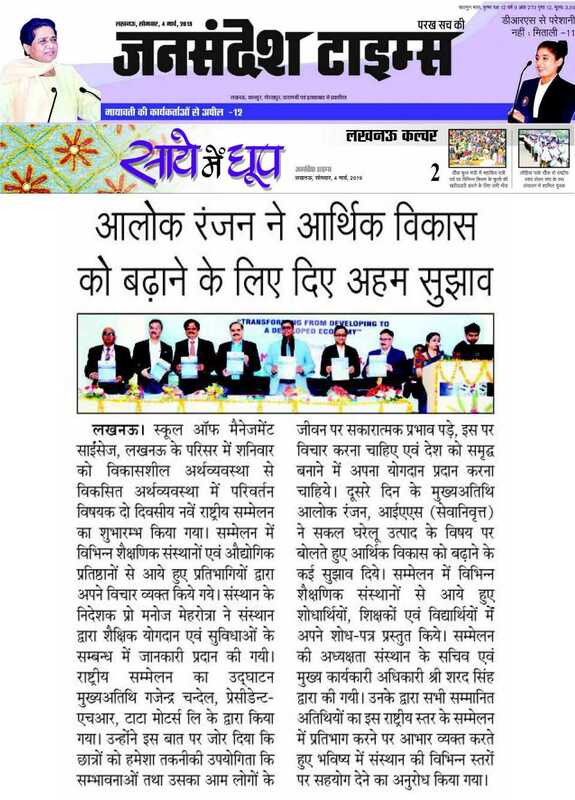 Dainik Prabhat pdf(Page 02) / jpg(Pg 02) / v). Rastriya Prastavana pdf(Page 02) / jpg(Pg 02) . 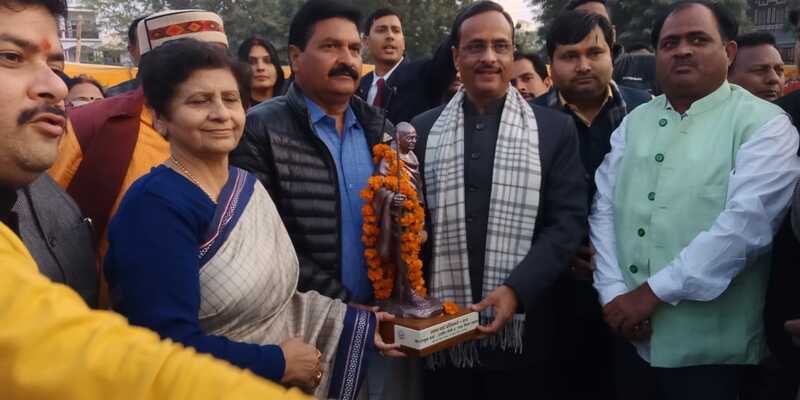 "SMS and Viram Khand-5, Gomtinagar Jankalyan Samiti , paid tribute to 40-Solders lost their life in Pulganva, Jammu on 14th Feb 2019 during attack of Terrist from Pakistan . 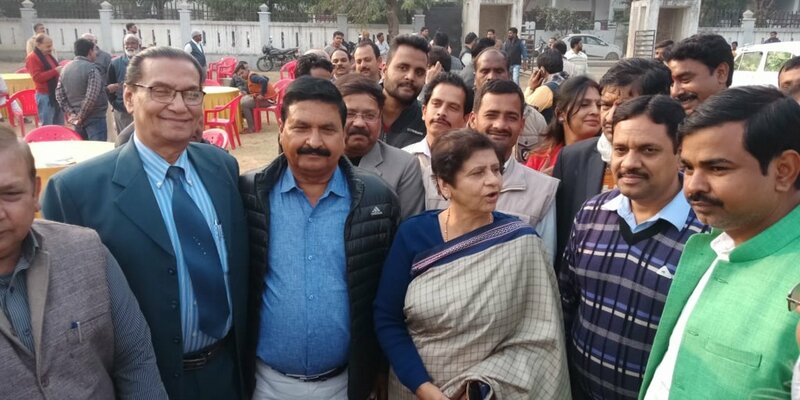 Director Genearl, SMS, Dr Bharat Raj Singh and Jankalyan Samiti officials GN Sinha, RS Mishra, JC Sah, SBL Melhotra nad Seema Singh lit candle and have March in Viram Khnad-5 on 15th Feb 2019 Evening and shown their anguesh to Pakistan. 16th Feb 2019: Daink Prabhat: pdf(Pg o3) / jpg(Pg 03) . 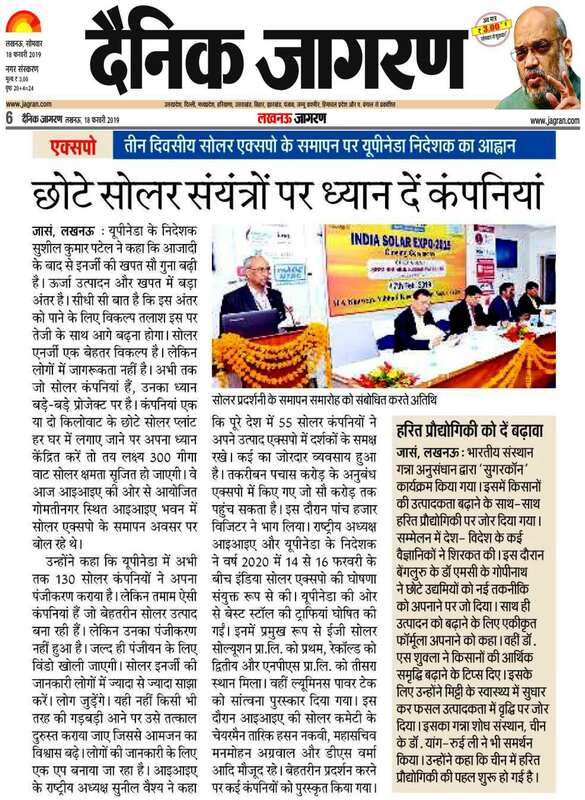 "Nationnal Solar Conclave -2019 and Solar Exhibition 2019", was organised by Indian Industries Association (IIA), Lucknow from 15th-17th Feb 2019. 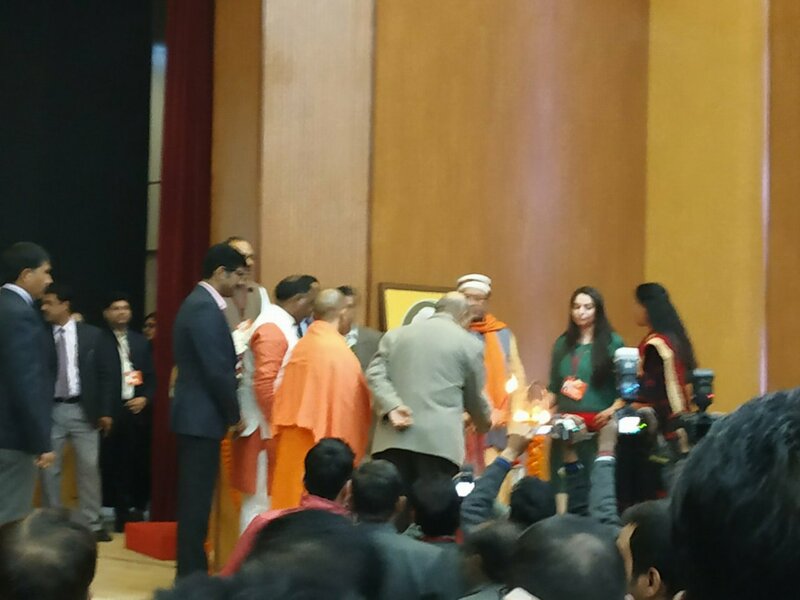 The Inaugural Ceremoney was witnessed by Hon. 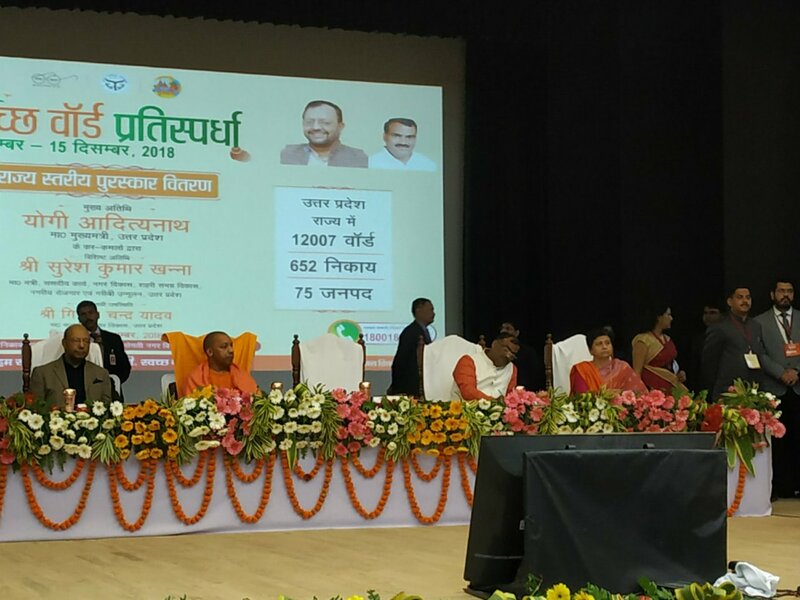 Minister(Renewable Energy), Shri Brajesh Parthak, Lucknow and many Industrialist, Academiccians and Researchers attended the Conclave. 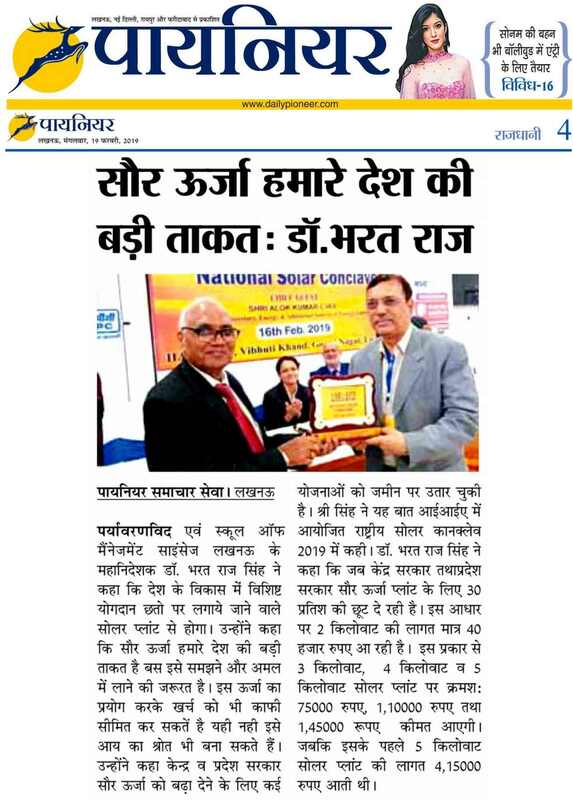 Prof. Bharat Raj Singh, DG(Tech), SMS, Lucknow and an Sr. Environmentalist express his views that harnessing sOLAR Energy through Roof Top will not only pritect damage of Climate Coondition but also help in fast economy of India. He also appealed citizen to go for Solar Roof Top when its cost reduced to 20,000=00 per KiloWatt up to 2 KWatts installation. 18th Feb 2019: i). 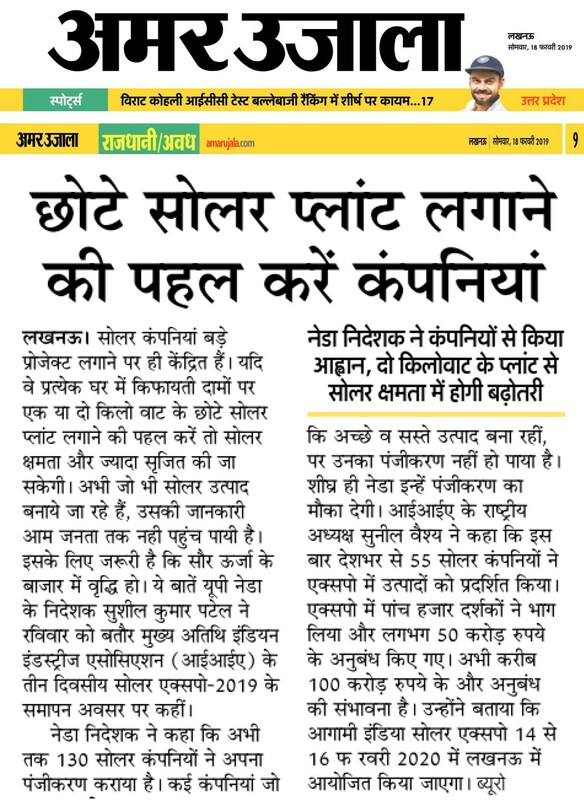 Dainik Jagran: pdf(Pg 06) / jpg(Pg 06) / ii). 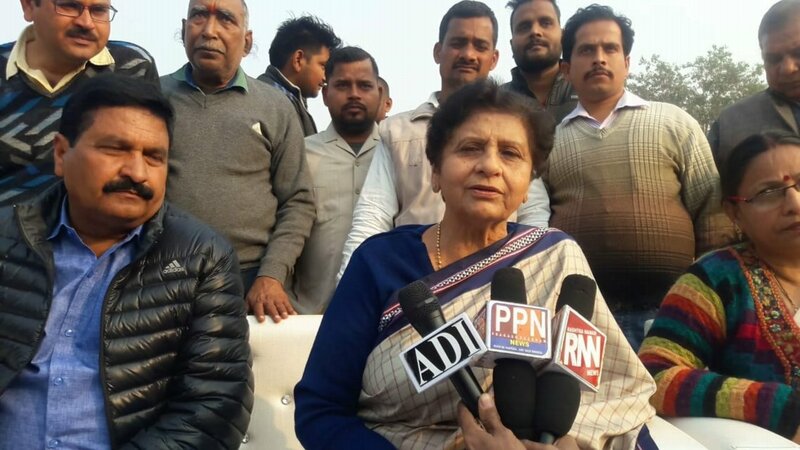 Amar Ujala pdf(09) / jpg(09) . 19th Feb 2019: i). 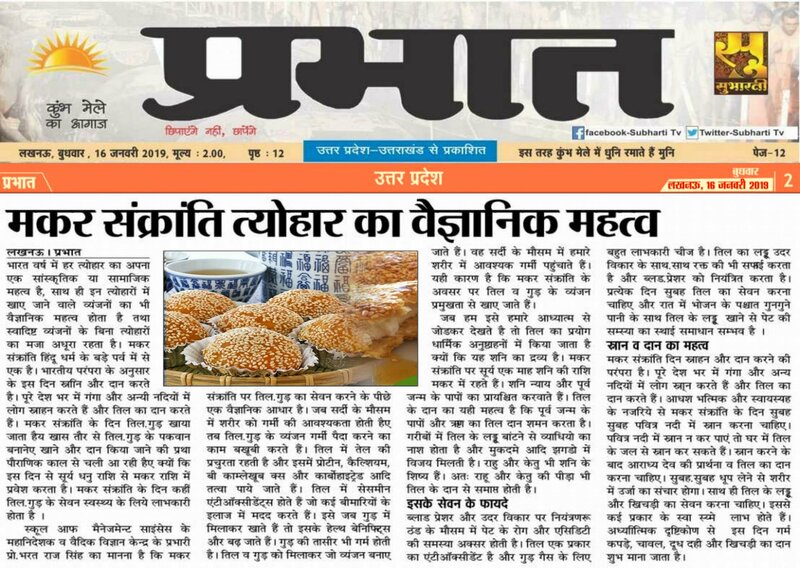 Dainik Prabhat: pdf(Pg 03) / jpg(Pg 03) / ii). 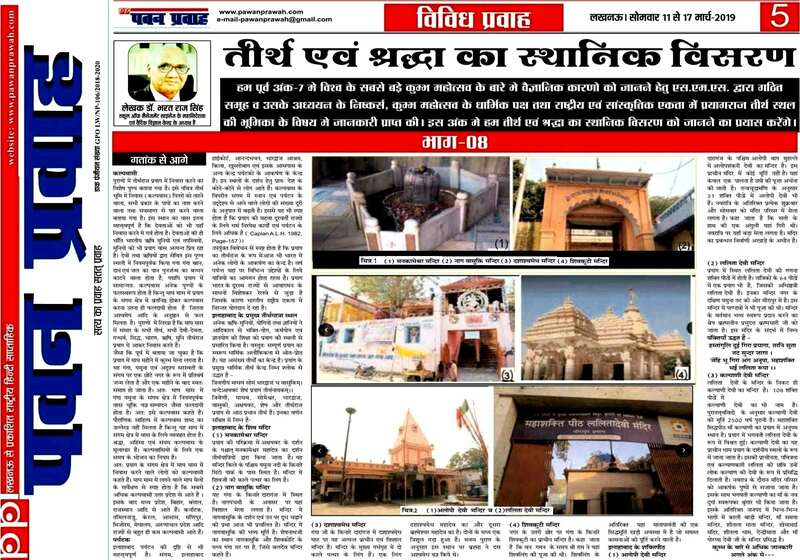 Daily News Activist pdf(Pg 04) / jpg(Pg 04) / iii). 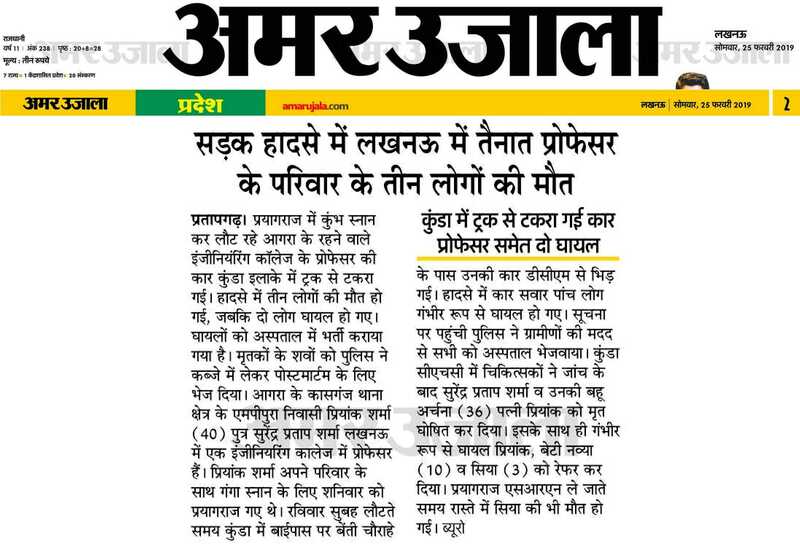 Pioneer Hindi pdf(Pg 04) / jpg(Pg 04) / iv). 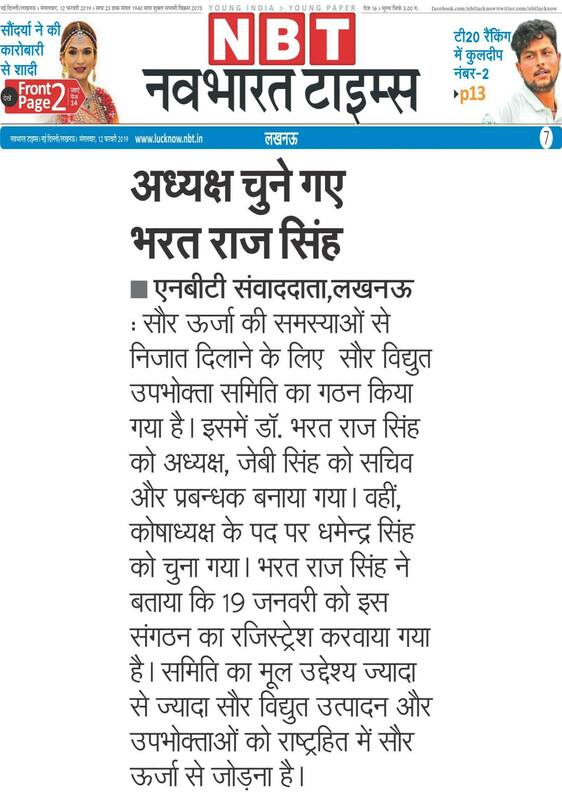 Amar Ujala pdf(myCityPage 04) / jpg(myCity Pg 04) / iv). 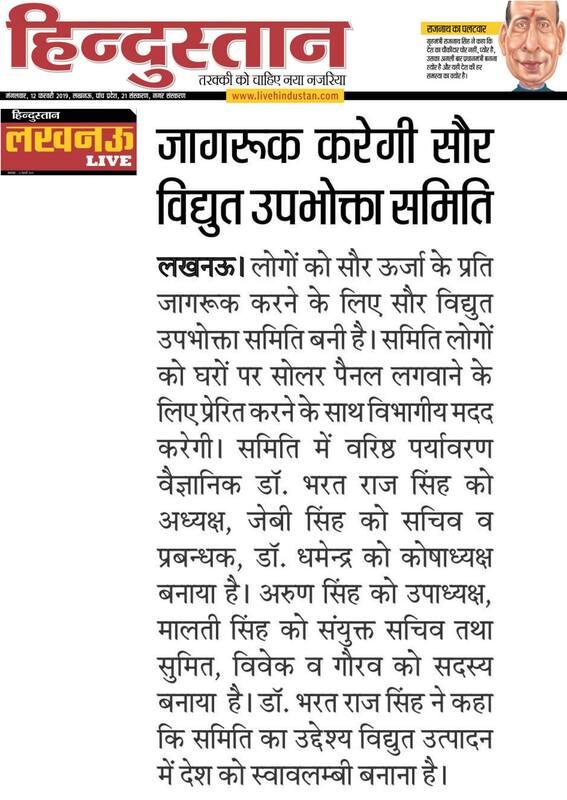 Dainik Jagran: pdf(Pg 06) / jpg(Pg 06) ,. 20th Feb 2019:Soalr Subsidy i). 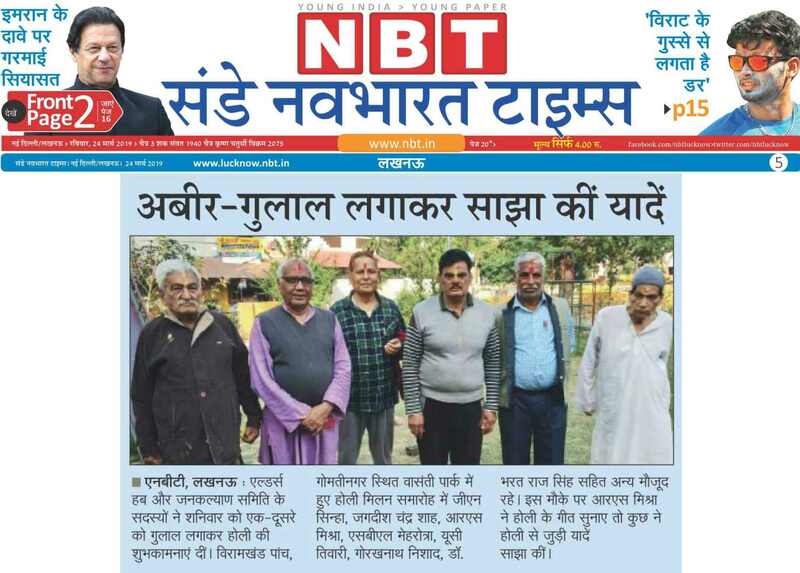 Amar Ujala: pdf(Pg 18) / jpg(Pg 18) /26th Feb 2019: ii). 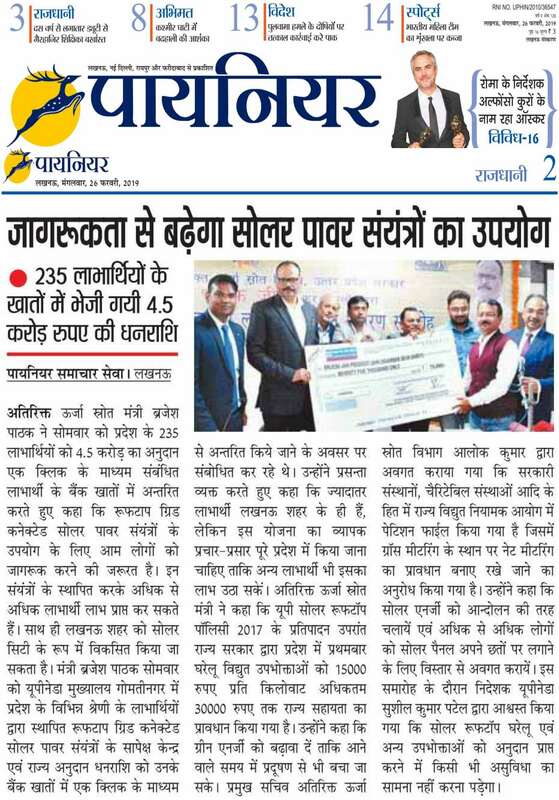 Dainik Jagran: pdf(Pg 08) / jpg(Pg 08) / iii). 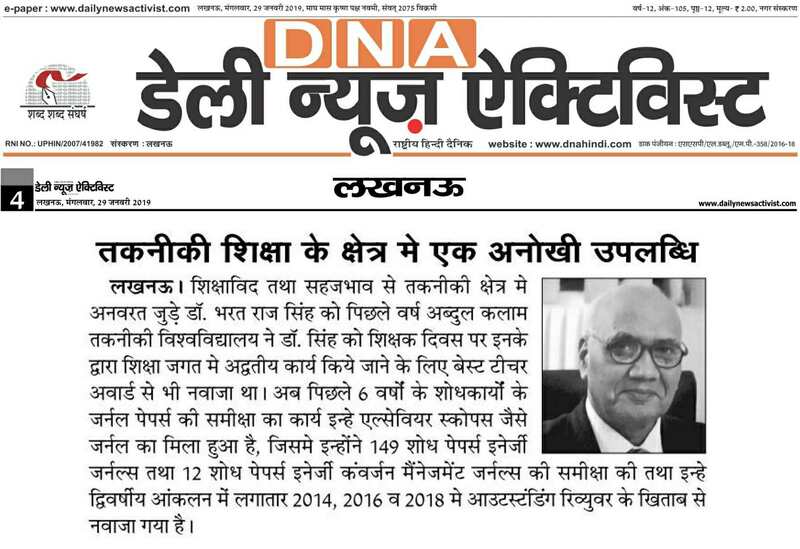 Pioneer Hindi: pdf(Pg 02) / jpg(Pg 02) / iv). 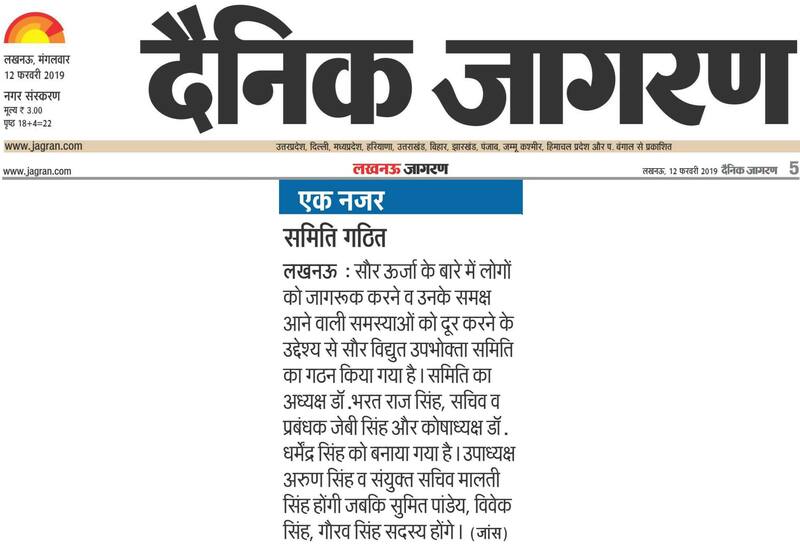 Daily News Activist: pdf(Pg 05) / jpg(Pg 05) / v). 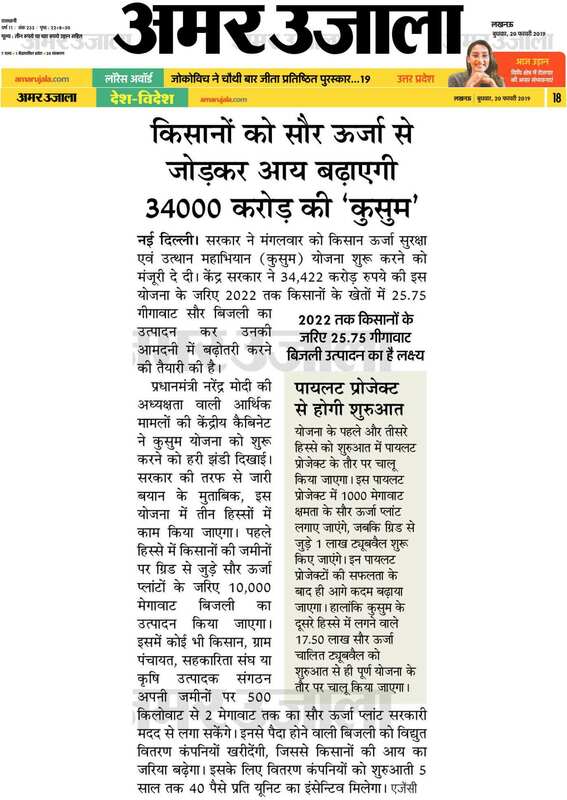 Amar Ujala: pdf(Pg 03) / jpg(Pg 03) . 21th Feb 2019: i). Rastriya Prastavana: pdf(Pg 08) / jpg(Pg 08) / 24th Feb 2019: ii). 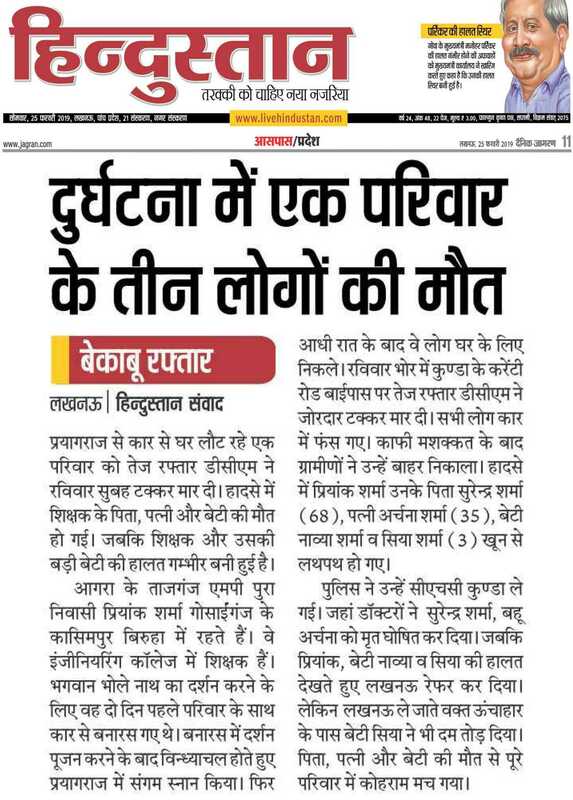 Hindustan Hindi: pdf(Pg 11) / jpg(Pg 11) . 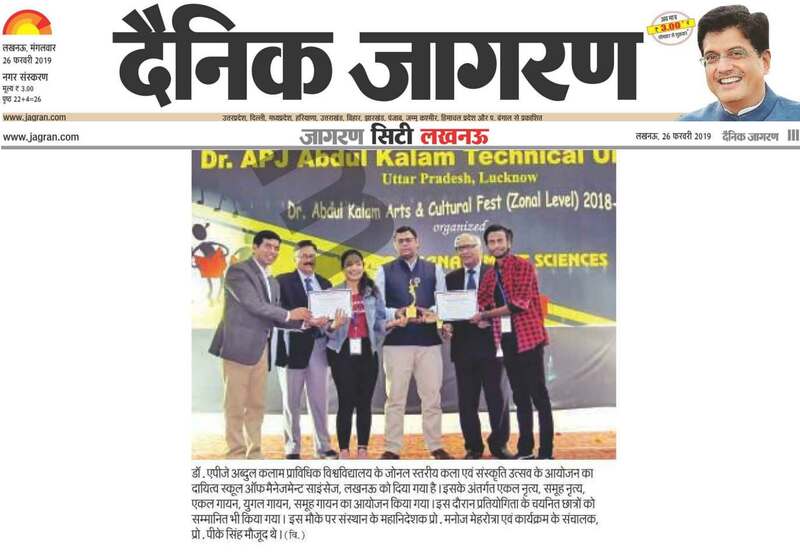 "Zonal Arts & Cultural Fest-2019"- Two Day's Arts & Cultural Fest- 2018-19 conducted on 22nd-23rd Feb 2019 in which around 16 Institutions participated mainly IET, Lucknow, Rajkiya Engg College, Banda, PSIT, SMS, BBDNITM, SRMITM etc. aand winners were awarded with Certificate and shield / plate. 26th Feb 2019: i). 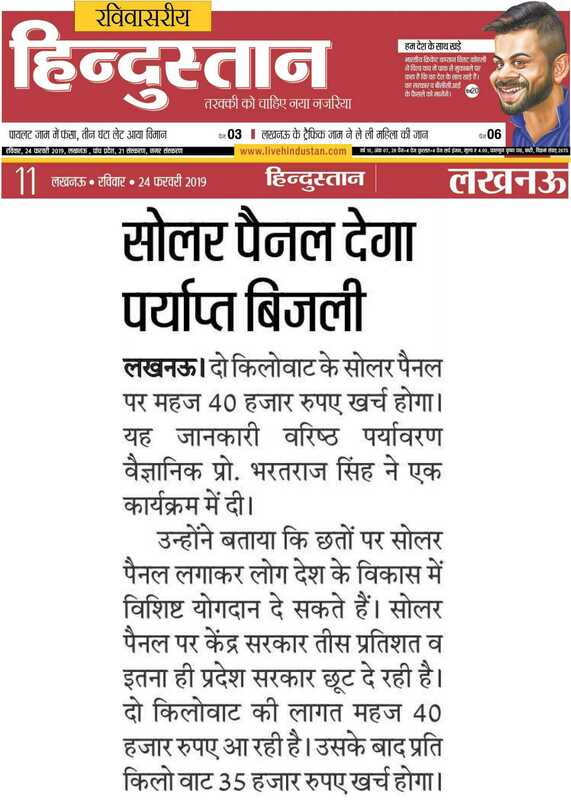 Dainik Jagran: pdf(Jagran City Pg III) / jpg(Jagran City Pg III) / 01st Mar 2019: ii). Rastriya Prastawana: pdf(Pg 08) / jpg(Pg 08) / 02nd Mar 2019: iii). 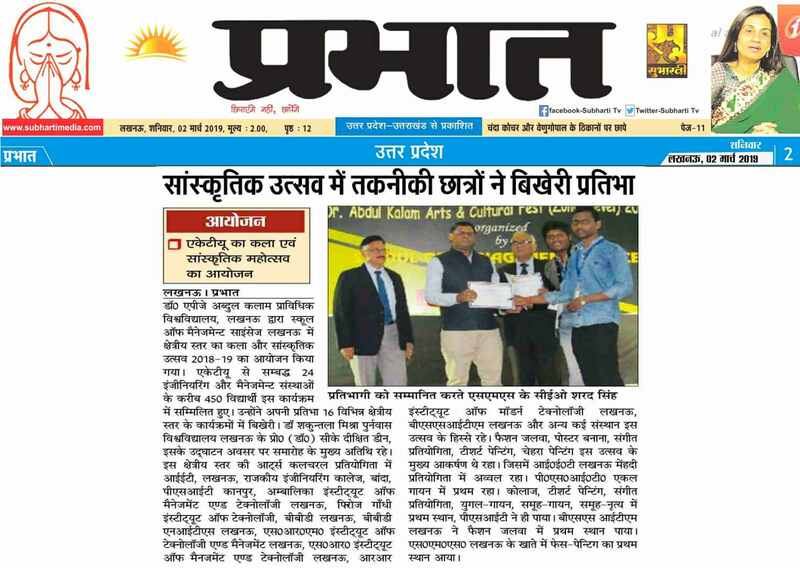 Dainik Prabhat pdf(02) / jpg(02) . 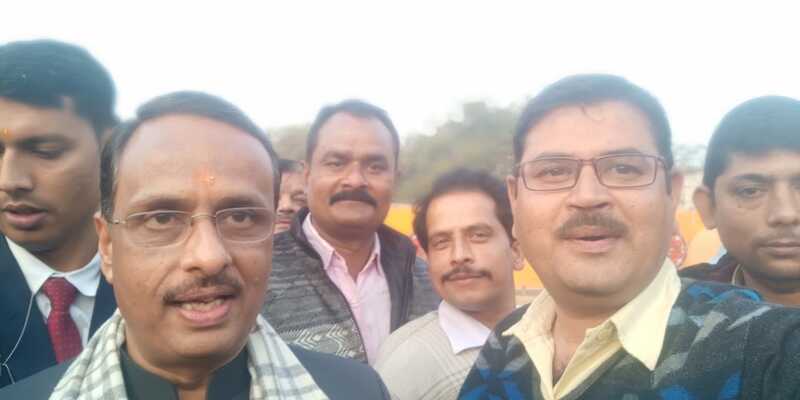 "Deep Condolence to Depoarted Soul"- A Tragic Car Accident met with speedy DCM Truck at Kunda bye-pass on 24th Feb 2019 at 4:30 AM when our Prof Priyank Sharma, SMS, Lucknow was driving his car and returning from Prayagraj along with his family members. His father, wife and younger daughter could not servive and he himself & his yelder daughter suffered with multiple injuries and under treatment. We pray God to give him strength to bear irrepairable loss and place departed soul rest in peace. 25th Feb 2019: i). 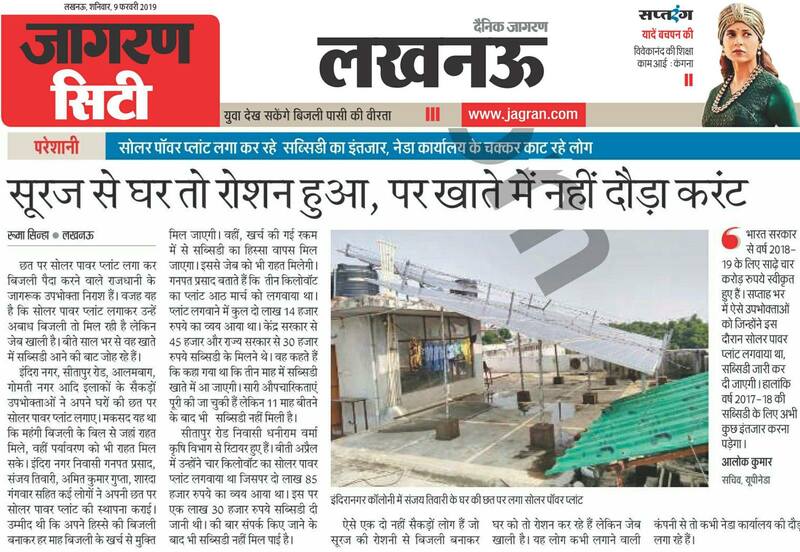 Dainik Jagran: pdf(Pg 11) / jpg(Pg 11) / ii). 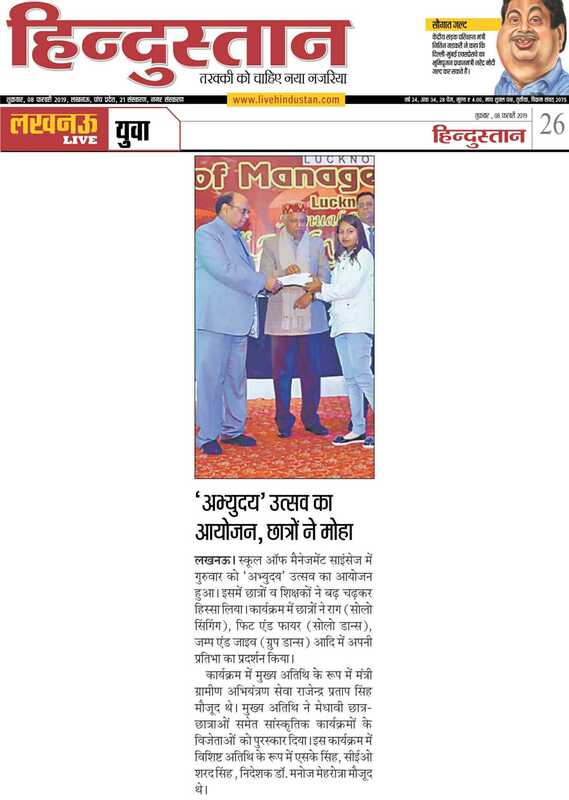 Amar Ujala pdf(02) / jpg(02) / iii). 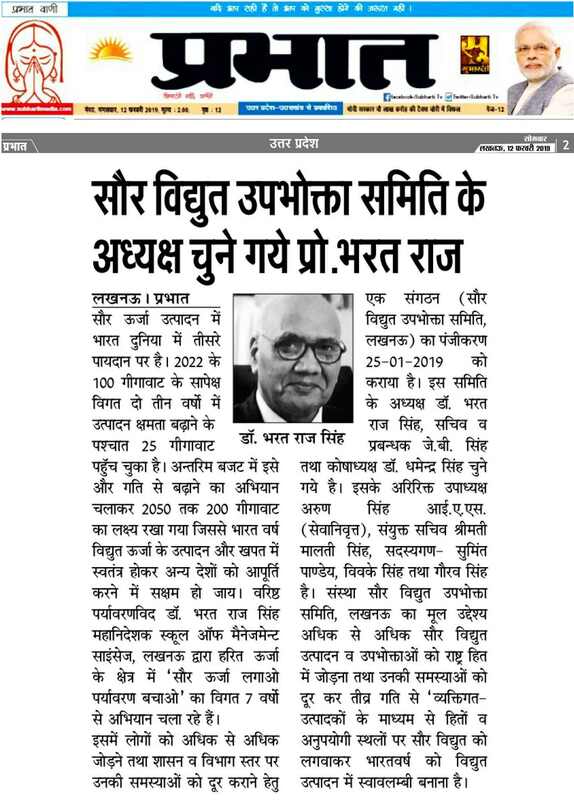 Hindustan Hindi: pdf(Pg 05) / jpg(Pg 05) . 01st Mar 2019: i). 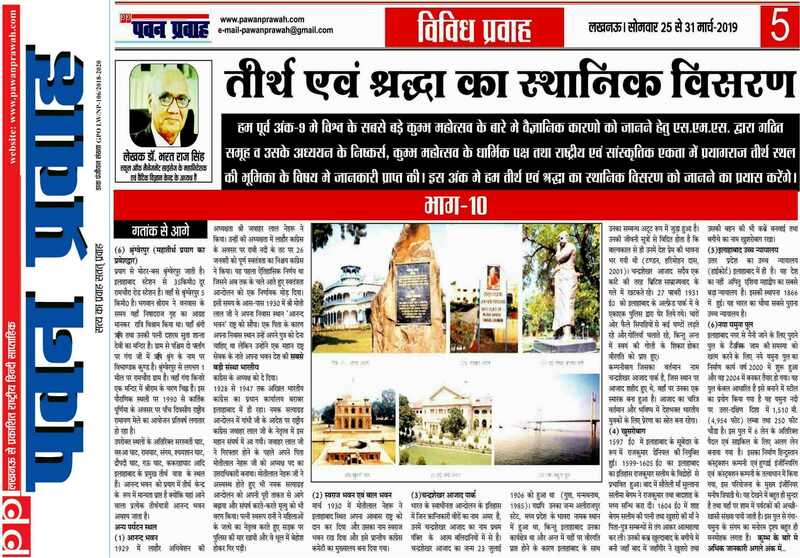 Engineering Education-History, Present & Future -written by Prof. Bharat Raj Singh pdf (Pages 12-14) . 01st Apr 2019: ii). 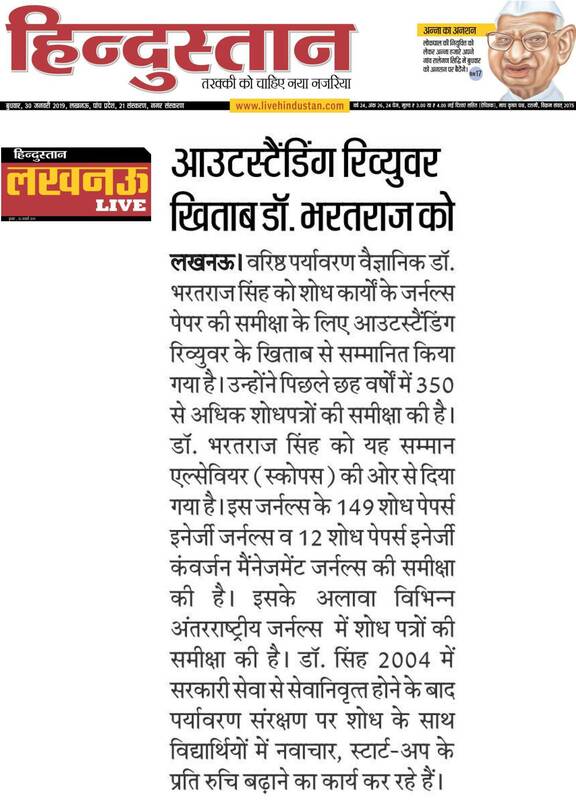 Engineering & Medical crack heighst in IAS & PCS -written by Prof. Bharat Raj Singh pdf (Pages 18-19) . 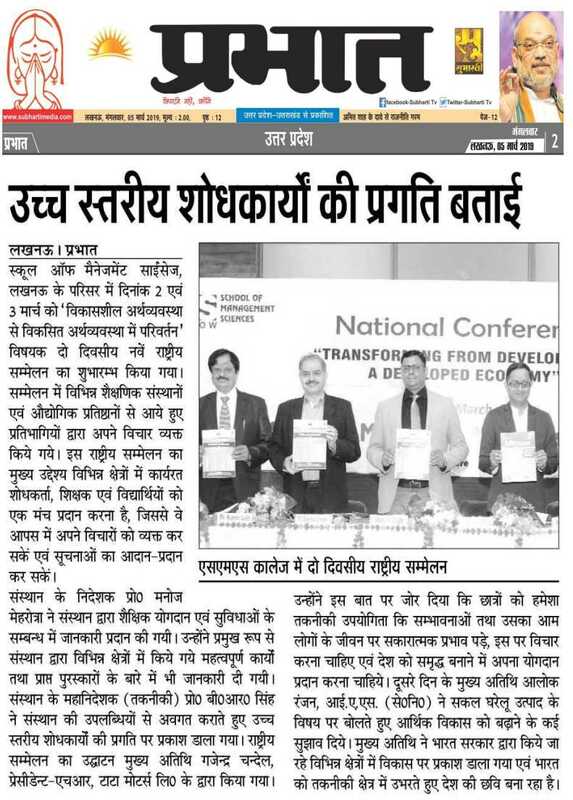 "A Nationnal Conference on Transforming from Develping to Developed Economy", was organised by SMS, Lucknow and NHRD Networks, Lucknow from 2nd to 3rd March 2019. 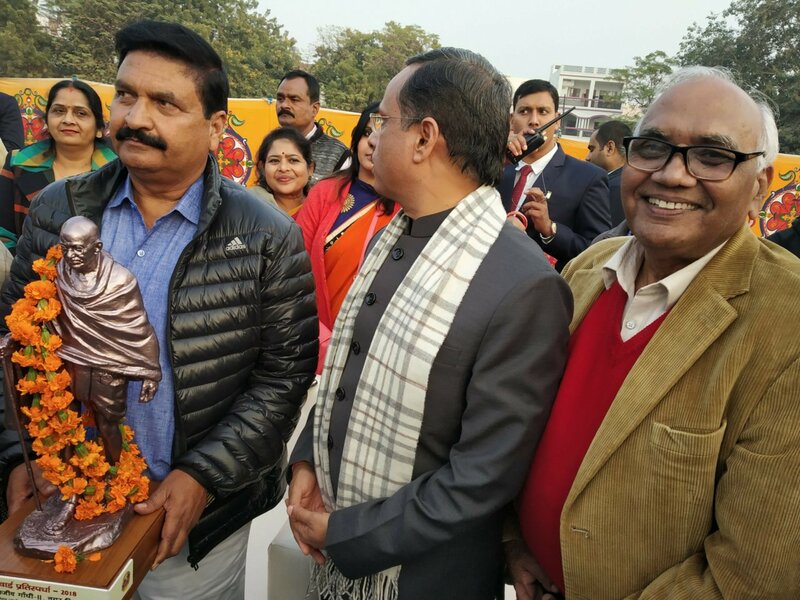 The Inaugural Ceremoney was witnessed by Shri Gajendra Singh,GM, Tata Motors, Lucknow and Validictory was Shri Alok Ranjan, IAS(Retd), Ex-Cheif Secretary, Govt of Uttar-Pradesh and Hon. 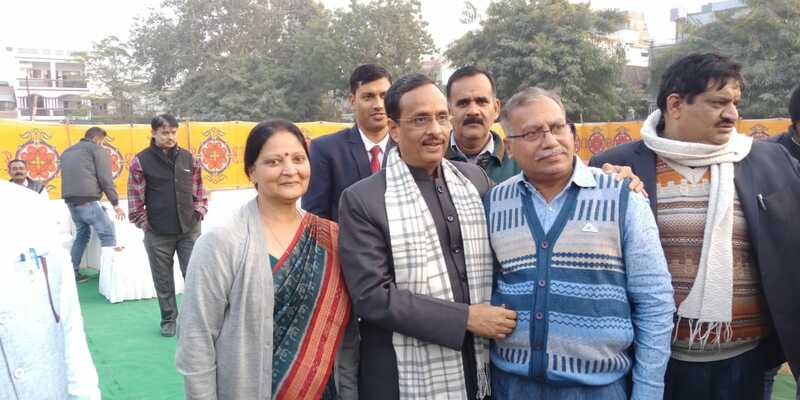 VC,Sanskrit University, Shri Rana Singh and many more Academiccians and Researchers. 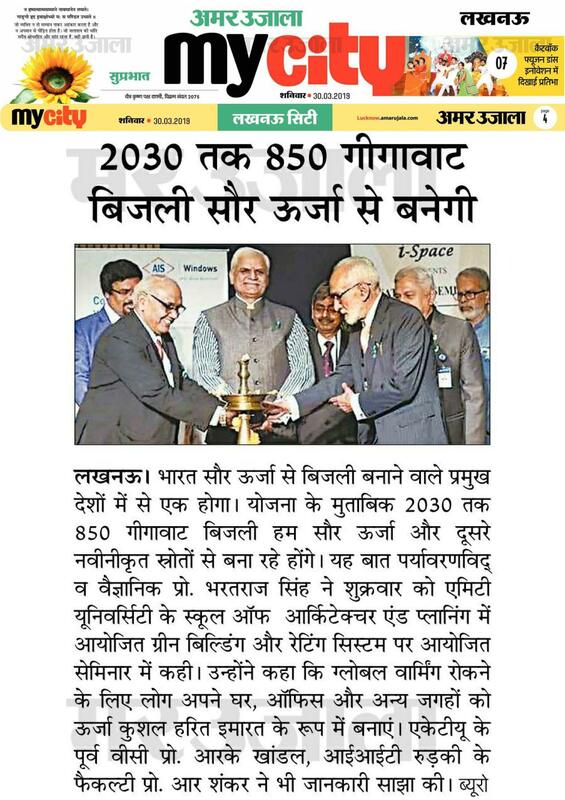 The Conference Chair, Prof. Manoj Mehrotra, elaborated about SMS & also theme of Seminar and Prof. Bharat Raj Singh, DG(Tech), SMS, Lucknow expressed about researches to transform the Indian Economy to Developed Country by making India Energy Freedcom by 2030. 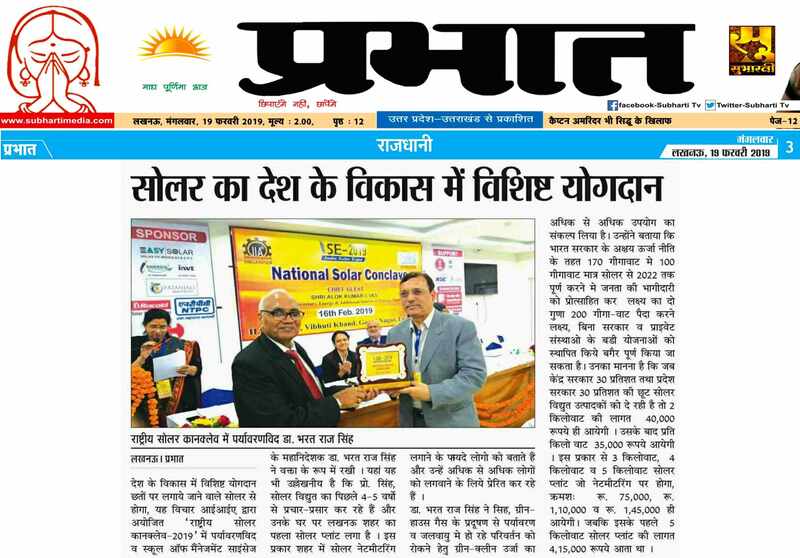 It is possible by harnessing Solar Energy through Roof Top Generation. 03rd Mar 2019: i). 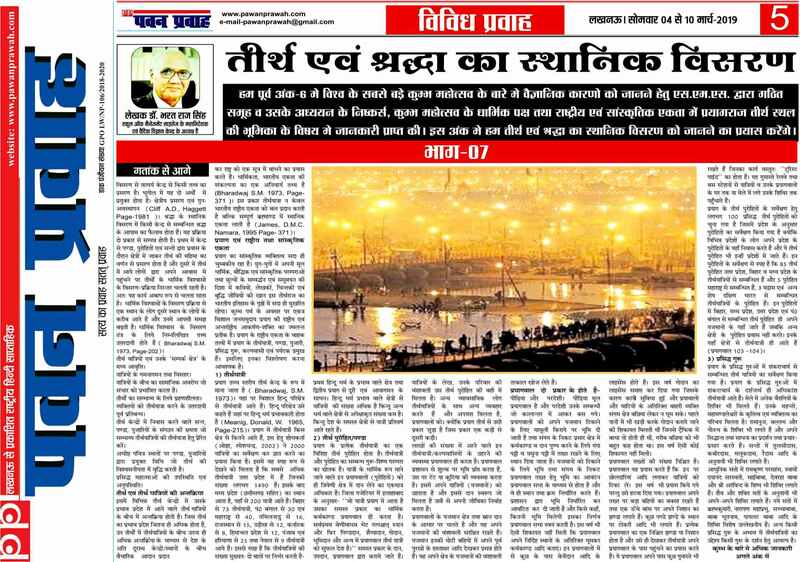 Hindustan: pdf(Pg 26) / jpg(Pg 26) / ii). 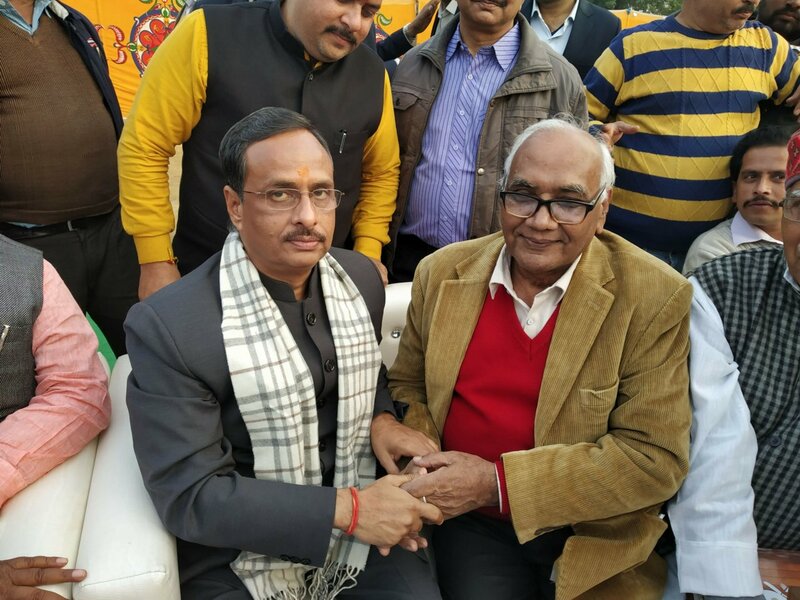 Voice of Lucknow pdf(05) / jpg(05) . 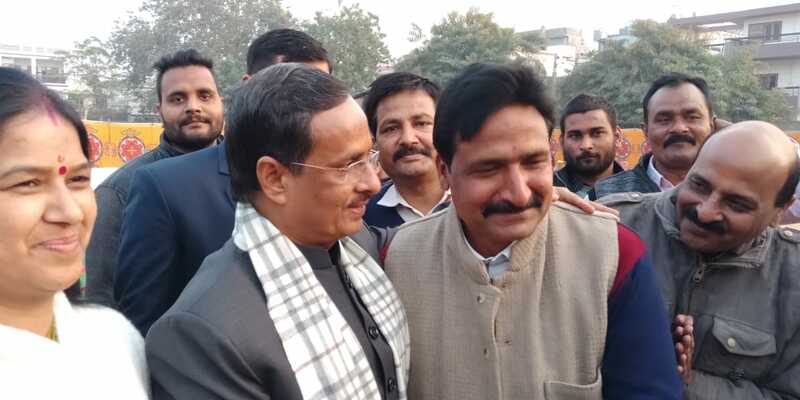 04th Mar 2019: iii). 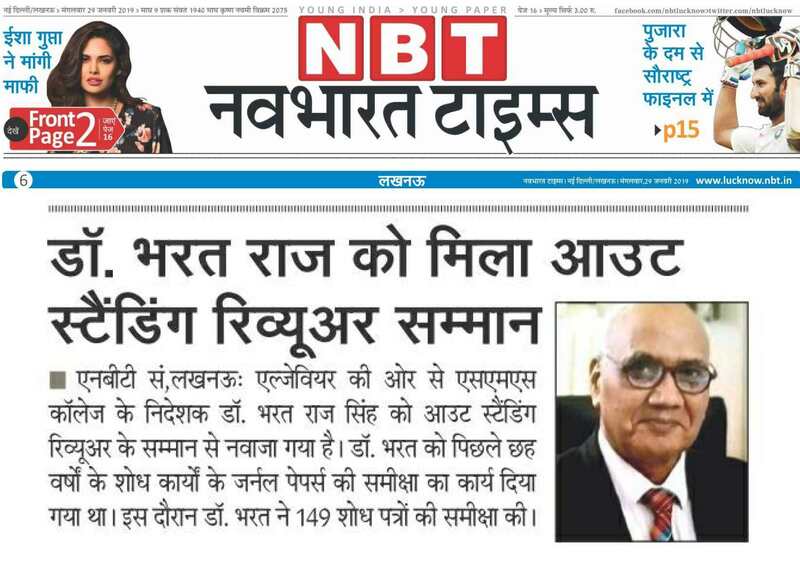 Nav Bharat Times: pdf(Pg 10) / jpg(Pg 10) / iv). Kanwhizz pdf(Pg 05) / jpg(Pg 05) / v). Jan Sandesh pdf(Pg 02) / jpg(Pg 02) . 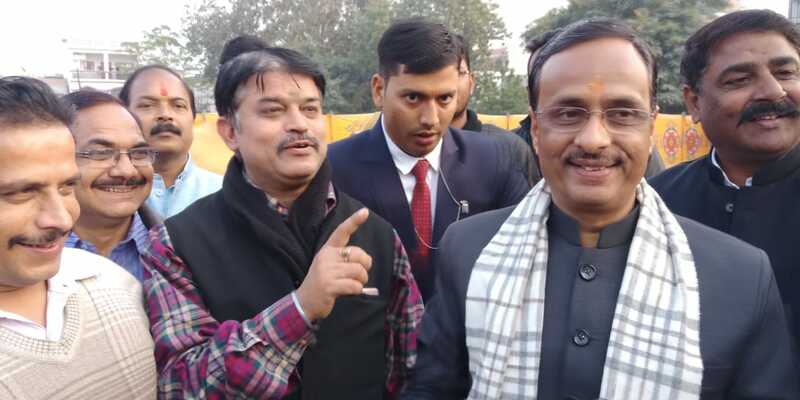 05th Mar 2019: vi). 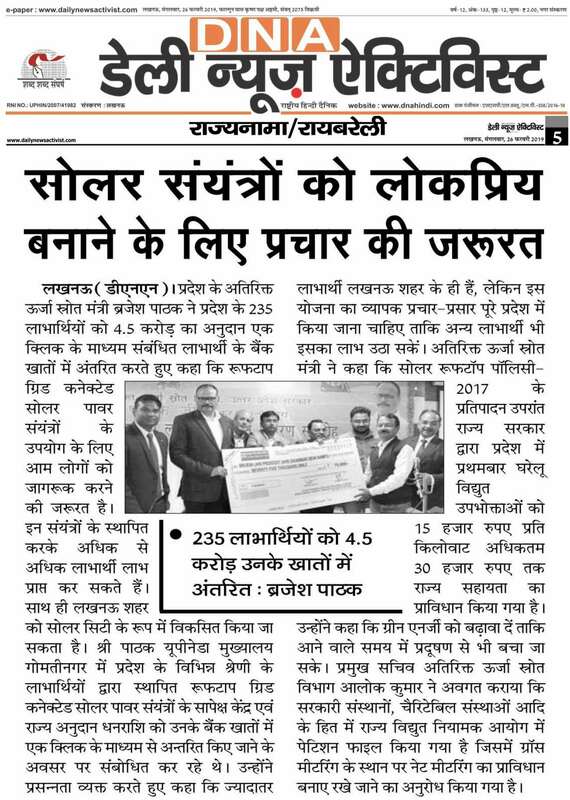 Dainik Jagran: pdf( Jagran City Pg IV) / jpg( Jagran City Pg IV) / vii). 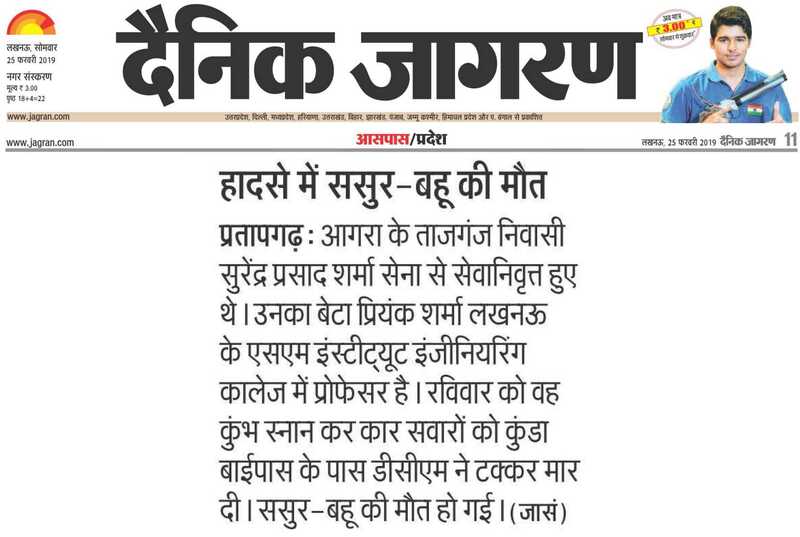 Dainik Prabhat: pdf(Pg 02) / jpg(Pg 02) / viii). Pioneer Eng: pdf(Pg 04) / jpg(Pg 04) . 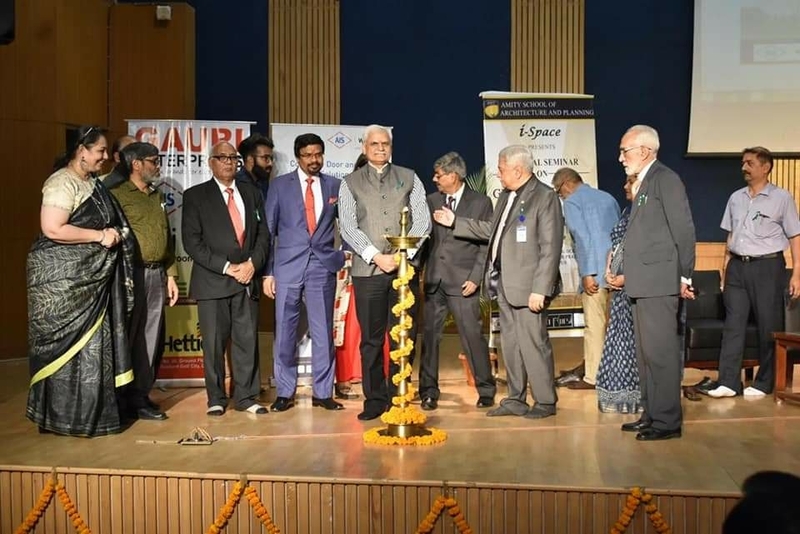 A book on "Innovation Technology Management"- published by Centre for Education Growth Research (CEGR), New Delhi, was launched in Jan 2019 by Prof. AP Mittal, Member Secretary, AICTE, New Delhi who is Cheif Editor of the book. 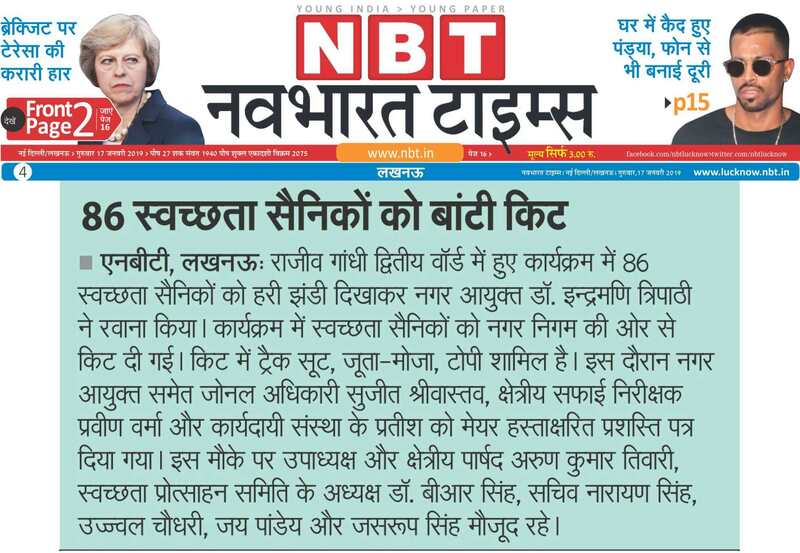 Director General (Tech), Prof. Bharat Raj Singh contributed maximum Chapters 3 (Three) out of 14- Chapters book. 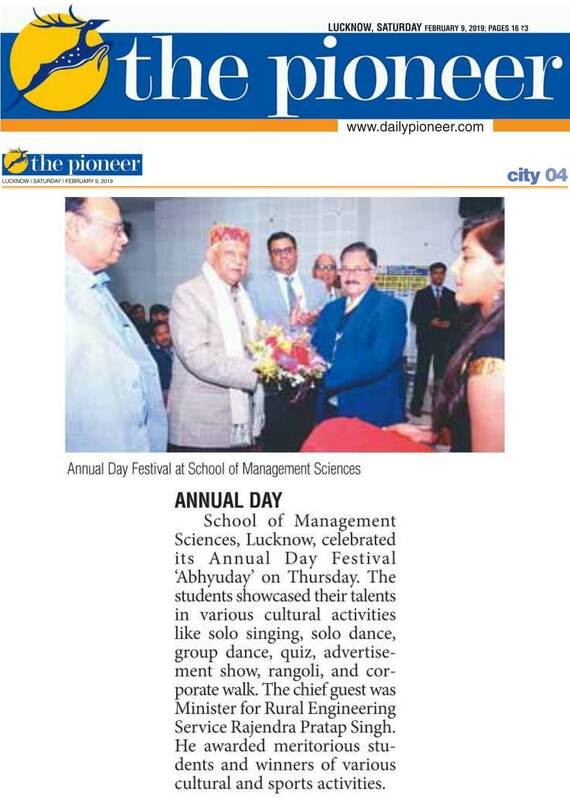 The contribution of School of Management Sciences,Lucknow was applauded. 08th Mar 2019: i). 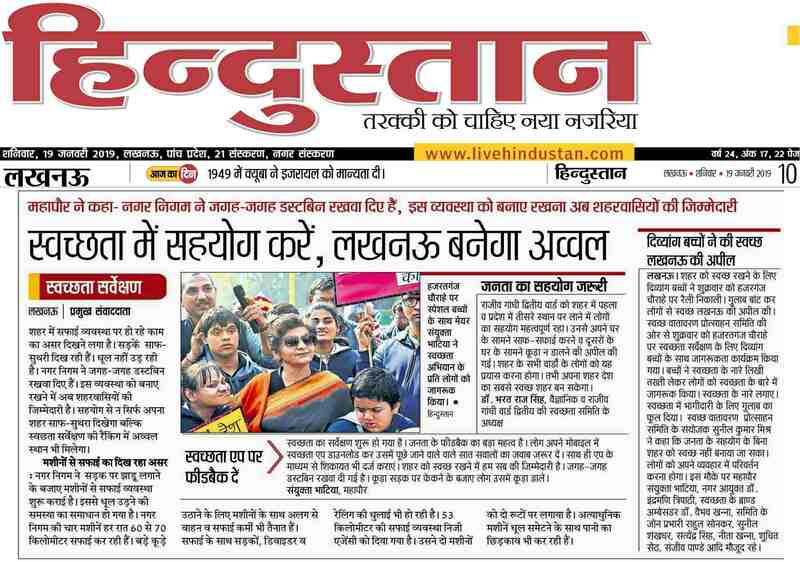 Daily News Activist: pdf(Pg 04) / jpg(Pg 04) / ii). 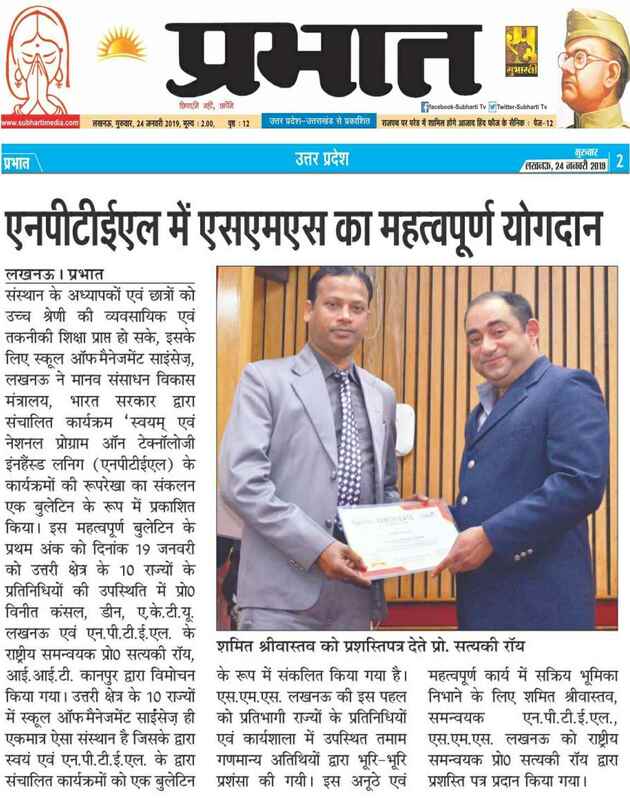 Dainik Prabhat pdf(02) / jpg(02) / iii). 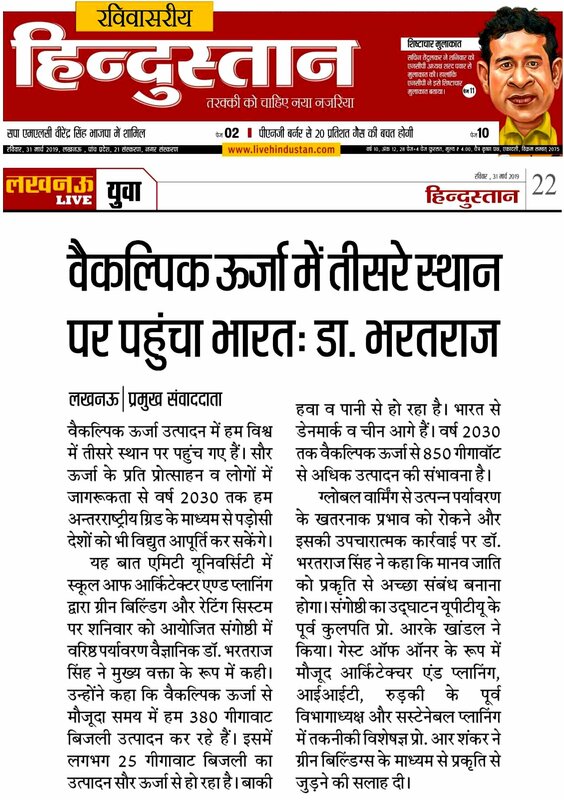 Dainik Prabhat-Meerut: pdf(Pg 04) / jpg(Pg 04) / 09th Mar 2019: iv). Rashtriya Prastawana: pdf(Pg 08) / jpg(Pg 08) . 12th-14th Mar 2019: Padma Shri-2019 i). 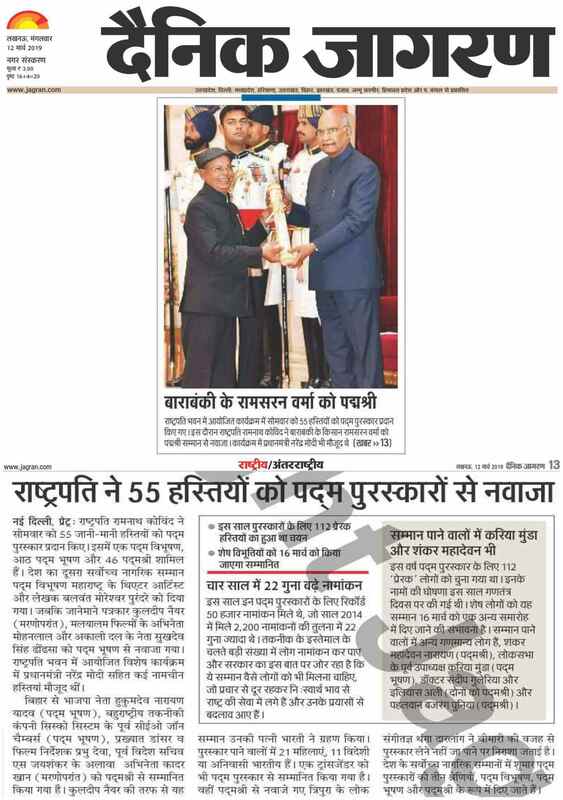 Dainik Jagran: pdf(Pg 01 & 13) / jpg(Pg 01 & 13) / President & Gen Secry, Jankalyan Samiti:ii). 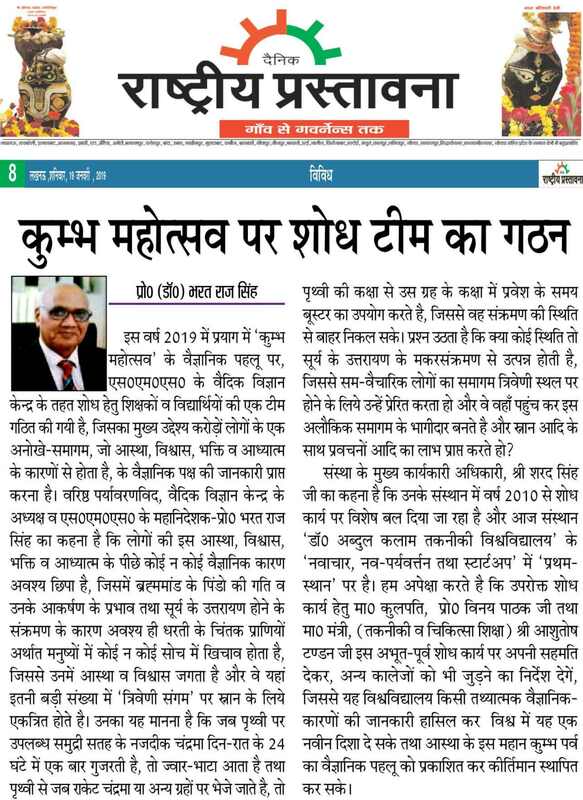 Hindustan pdf(06) / jpg(06) / Chairman, Homeopathic Board:iii). Hindustan pdf(07) / jpg(07) . 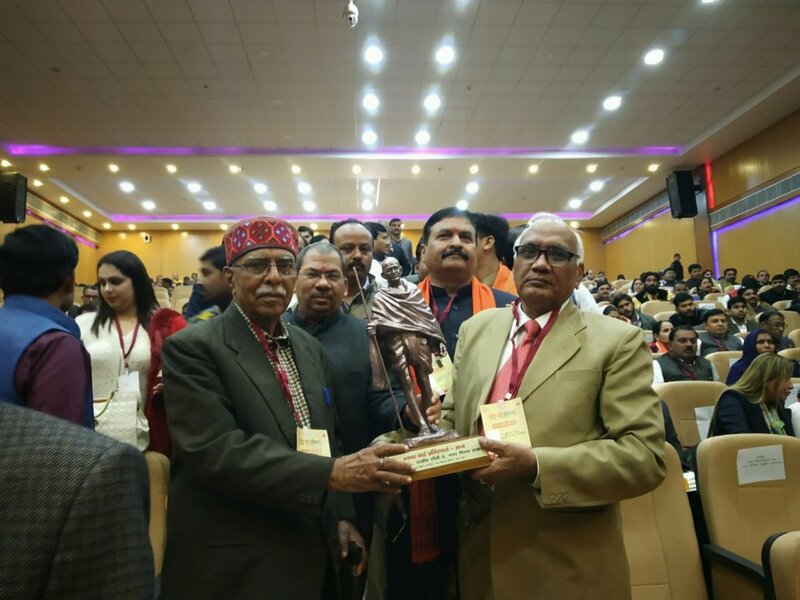 Status of Engineering Education in India: History, Present and Future analised by Prof. Bharat Raj Singh), Director General(Technical), School of Management Sciences, Lucknow. 01st Mar 2019: i). News Times Post (Magazine) pdf (Pages 12-14) / 18th Mar 2019: ii). 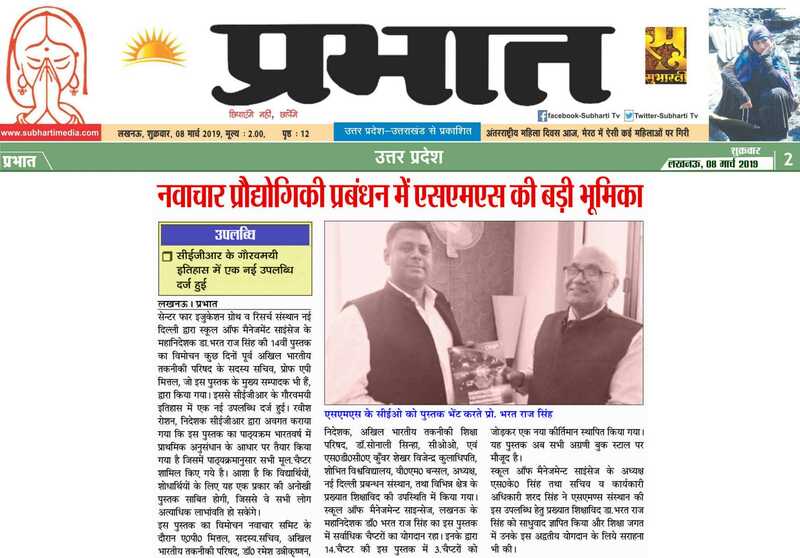 Rashtriya Prastawana: pdf(Pg 04) / jpg(Pg 04) / 19th Mar 2019: iii). 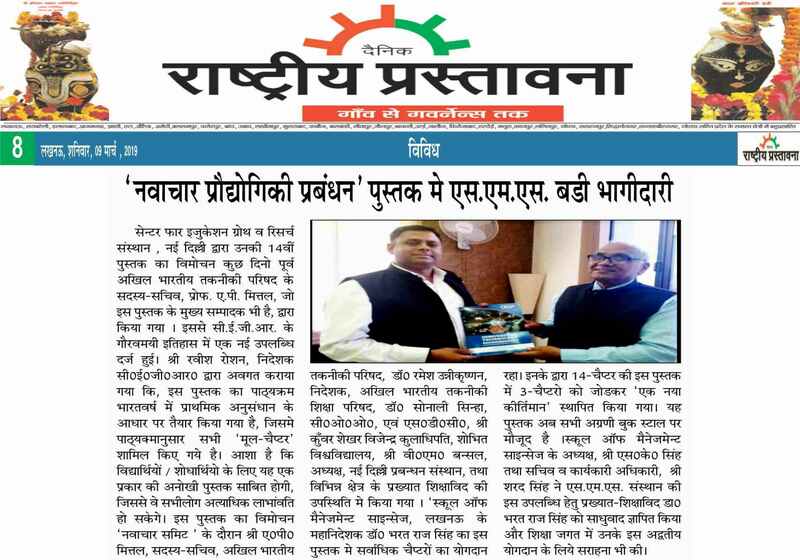 Dainik Prabhat pdf(09) / jpg(09) . 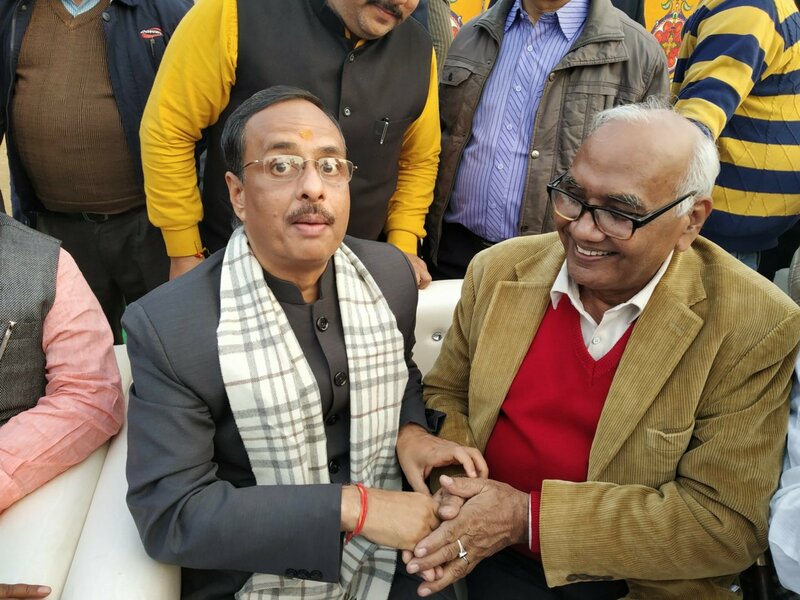 Holi Celebrated by Vetran's of Elder's Hub & Viram Khand-5 Jankalyan Samiti: on 21st March 2019 by office bearers S/Shri GN Sinha,(Retd.DGP), Chairman; RS Mishra, Secretary, Jagdish Chand Sah, UC Tiwari (Retd.IAS), Gorakh Nath Nishad, Former Min(BJP) and Environmentalist & Scientist, Prof. Bharat Raj Singh), Director General(Technical), SMS, at Vasanti Park, Viram Khand-5, Gomtinagar, Lucknow. 23rd Mar 2019: i). 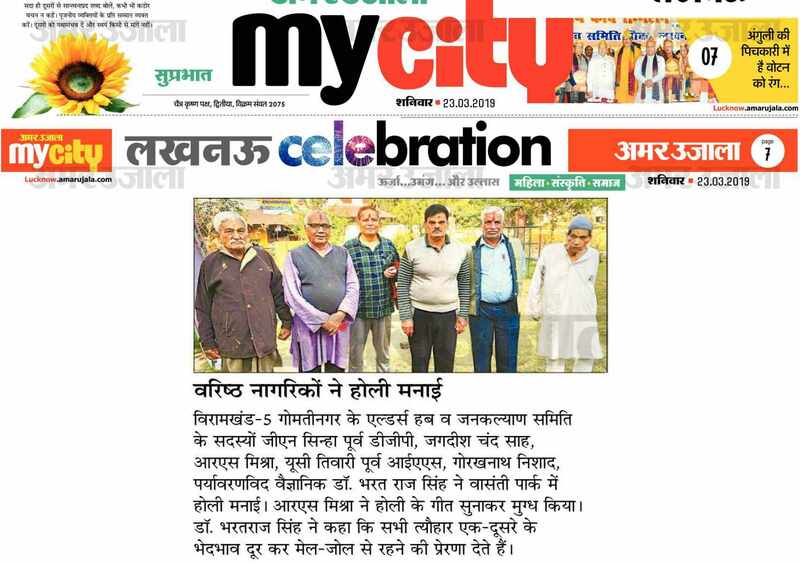 Amar Ujala pdf (MyCity Page 07) / jpg (MyCity Page 07) / 24th Mar 2019: ii). 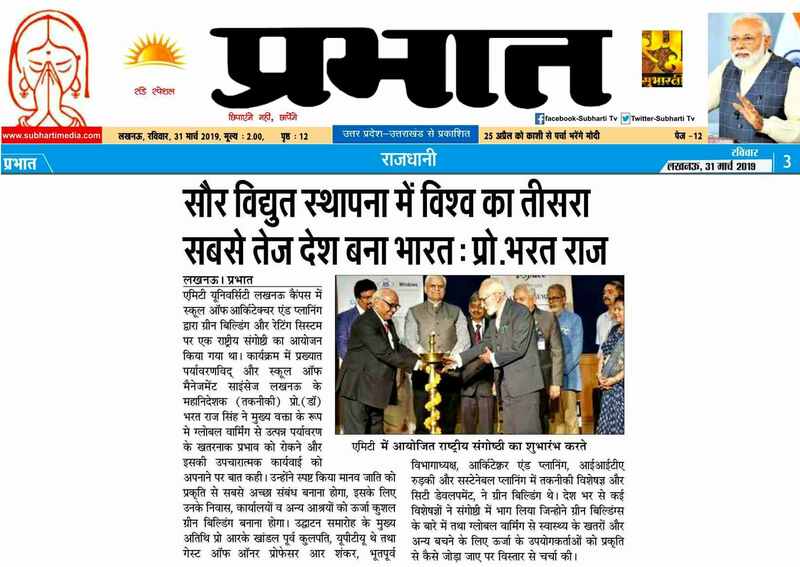 Nav Bharat Times pdf (Page 05) / jpg (Page 05) / 26th Mar 2019: iii). Rashtriya Prastavana pdf (Page 05) / jpg (Page 05) . 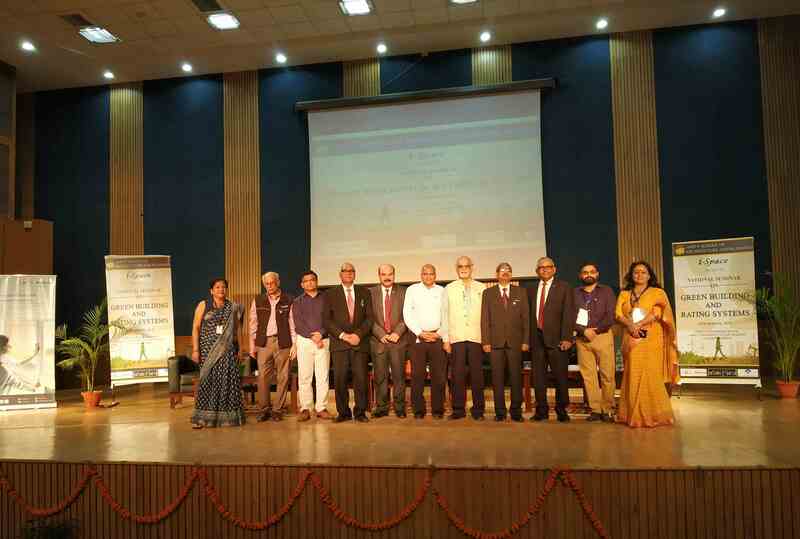 A National Seminar on Green Buildings & Rating System-2019: was organised on 26th Mar 2019 by Amity University, Lucknow in which Prof. R.K. Khandal, Former VC, UPTU, Lucknow was Chief Guest. 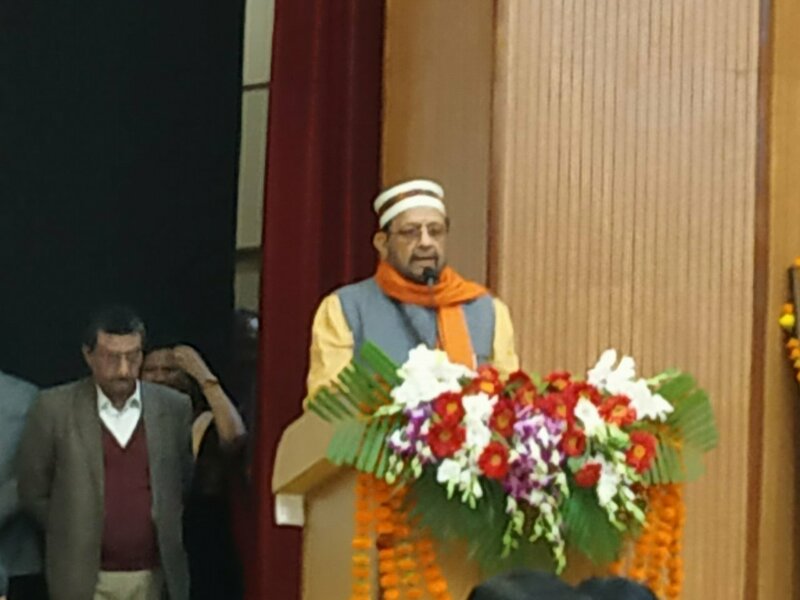 Prof. Jagbir Singh, Director, School of Architct, Amity University welcomed the Chief Guest, Guest of Honour and other dignitories present in the hall. 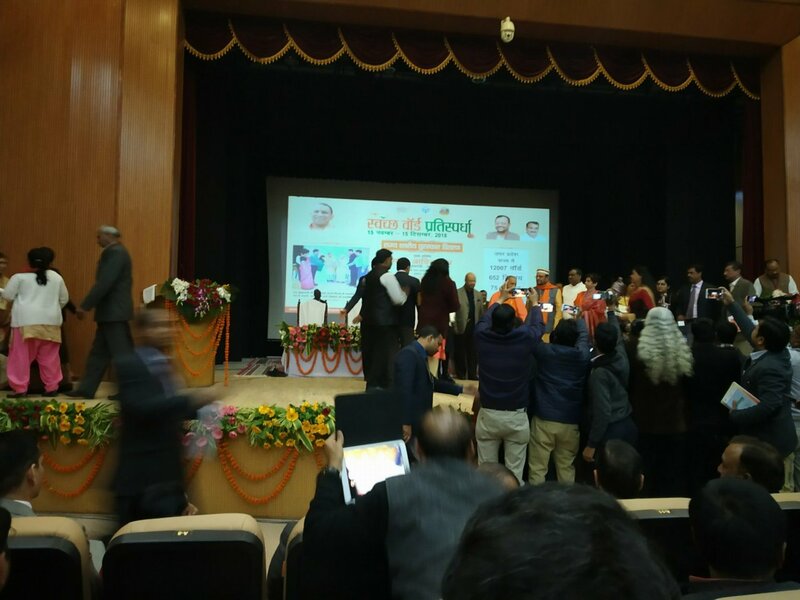 After the Inaugural session 2(Two) Technical Sessions were over, Prof. (Dr.) Bharat Raj Singh, Director General (Technical, SMS, Lucknow a Keynote Speaker focuses on Global Warming: Impact and its Remedial Action. 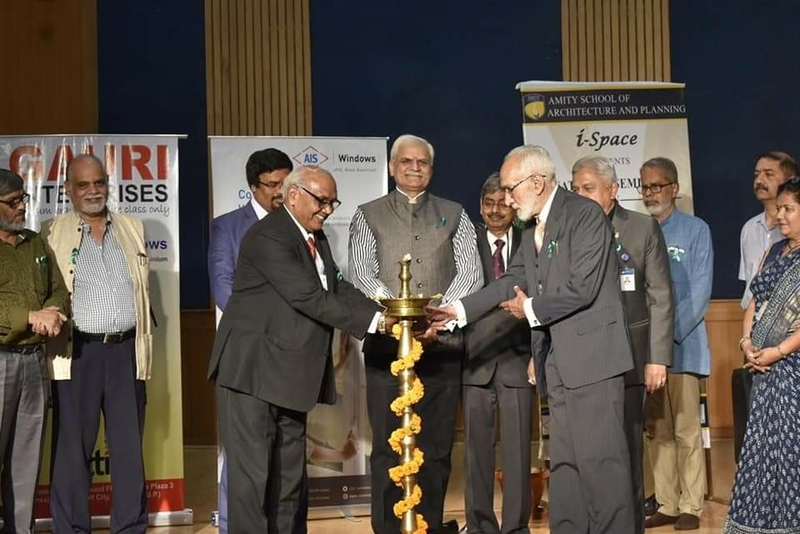 The Seminar was declared closed after felicitation extended to Chief Guest, Guest of Honour, Keynote Speakers and Prize Distributions & Scholarship awards were given to I, II, III year Architectural Students. 26th Mar 2019: (01) / (02) / (03) / (04) . 30th Mar 2019: i). 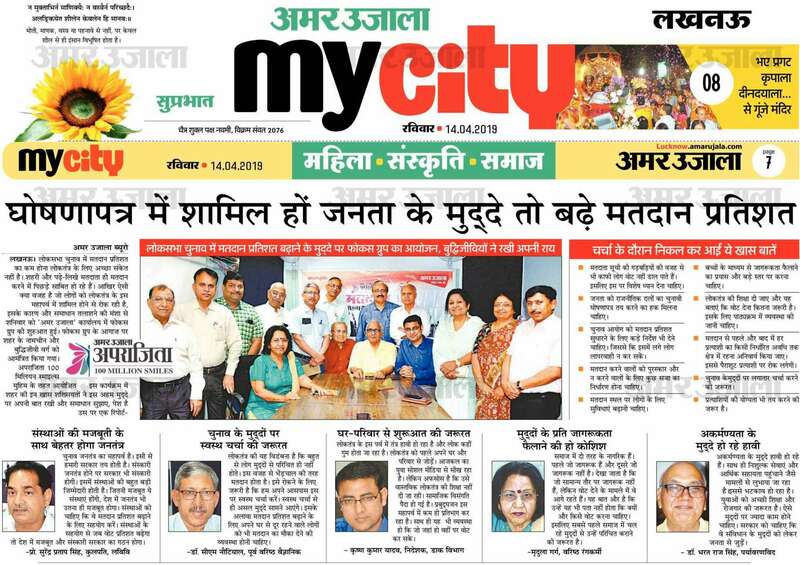 Amar Ujala pdf (MyCity Page 04) / jpg (MyCity Page 05) / ii). 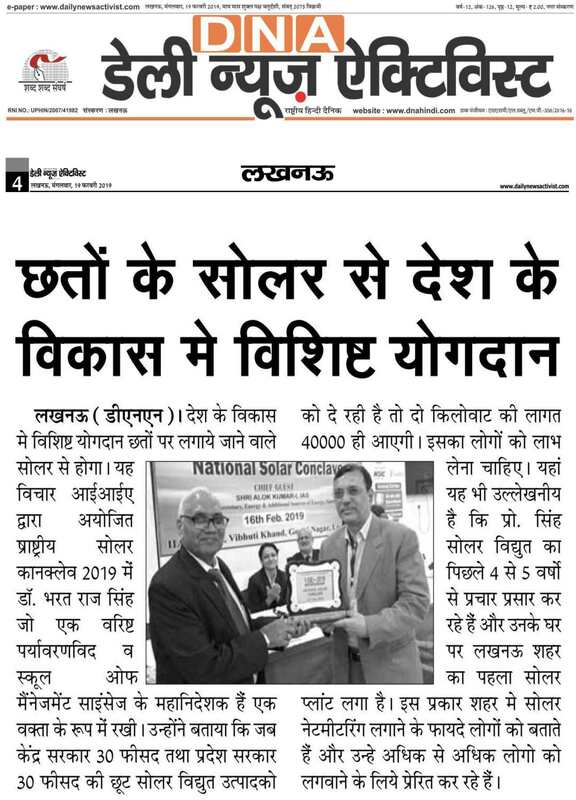 Pioneer English pdf (Page 04) / jpg (Page 04) / 31st Mar 2019: iii). Hindustan pdf (Page 22) / jpg (Page 22) / iv). 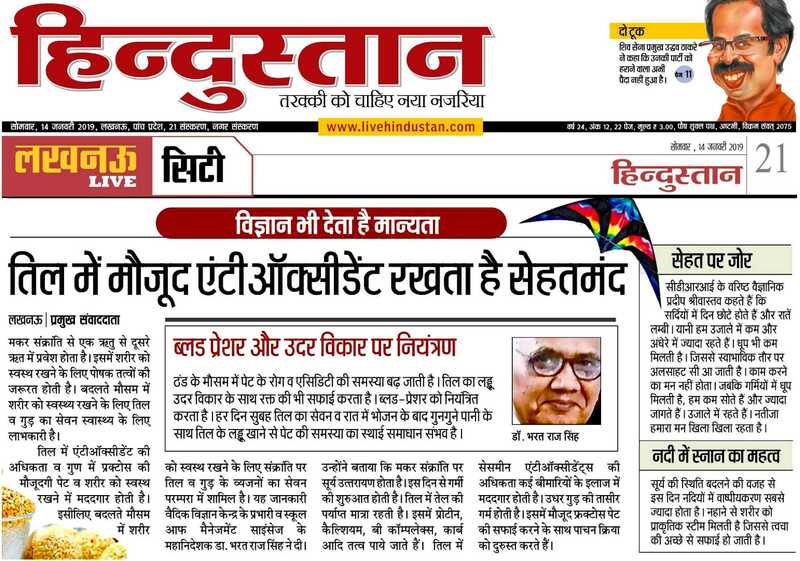 Dainik Prabhat pdf (Page 03) / jpg (Page 03) / 02 Apr 2019: v). Rashtriya Prastawana pdf (Page 08) / jpg (Page 08) . 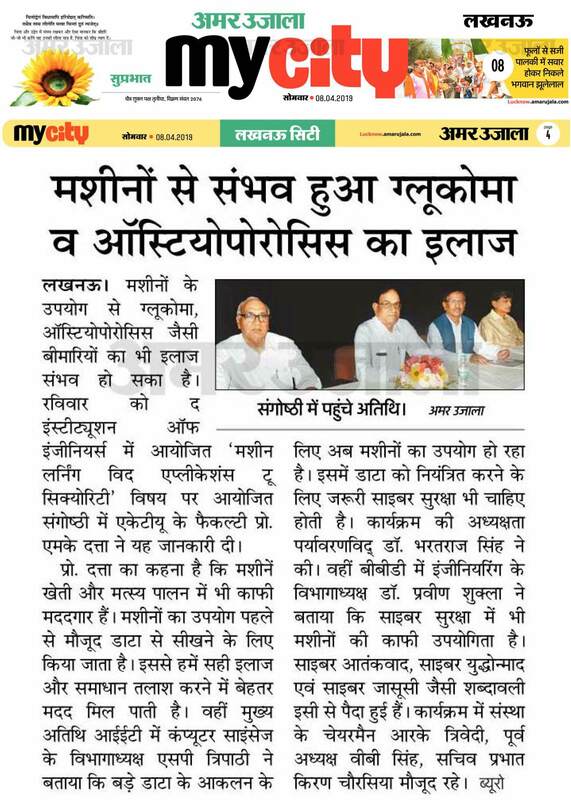 An One day Seminar on Machine Learning & Security System was organised by Institution of Engineers(India), UP State Centre, Lucknnow on 07th Apr 2019 in which Prof. SP Tripathi, IEI, Computer Departmenyt, Lucknow and Keynote Speaker was Prof. Malay Kumar Dutta. 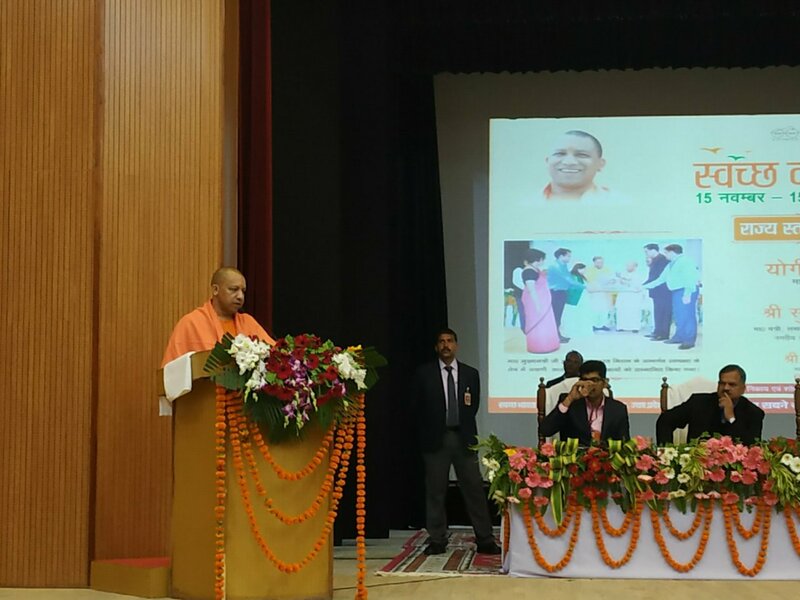 The First Session was Chaired by Prof. Bharat Raj Singh,DG (Technical), SMS, Lucknow. 08th Apr 2019: i). 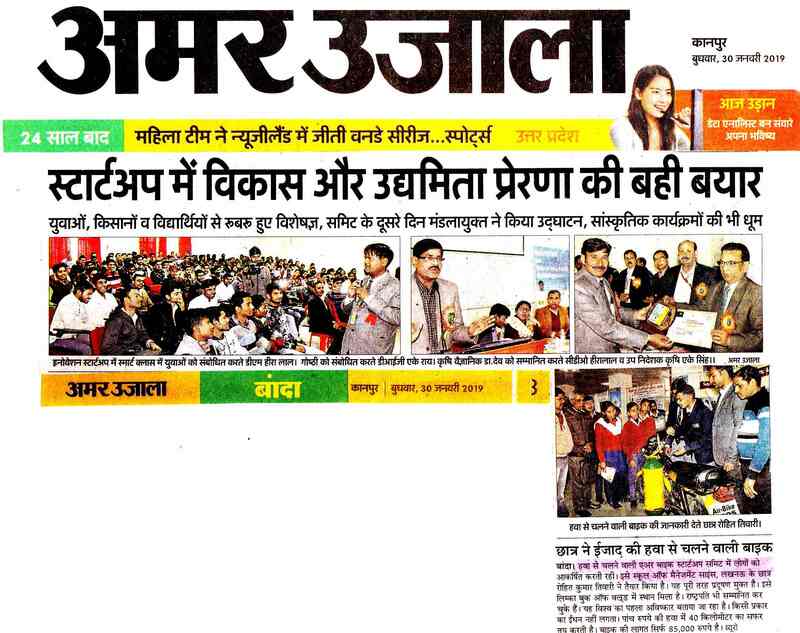 Amar Ujala pdf (MyCity Page 04) / jpg (MyCity Page 05) . 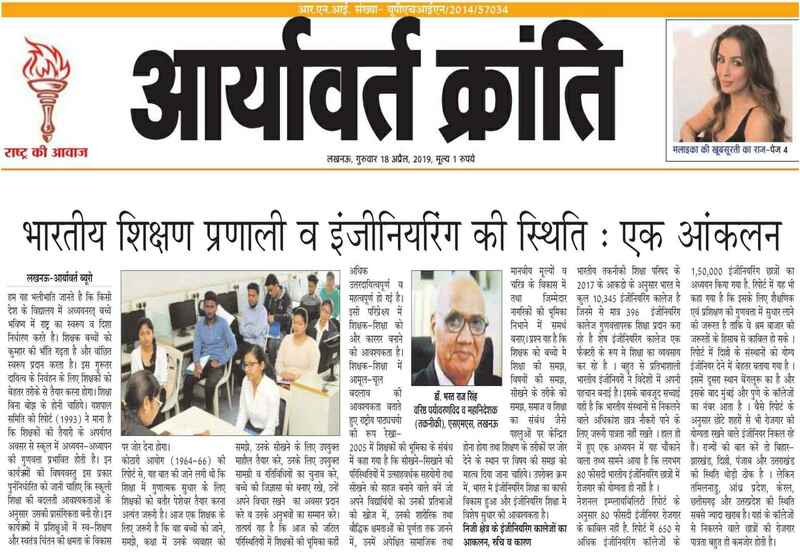 Amar Ujala-Took Opinion of Intelect Class on 13th April 2019, at his office Dalibagh and dicussed various issues to increase voting in the coming Election of World's largest Democratic Country, India. 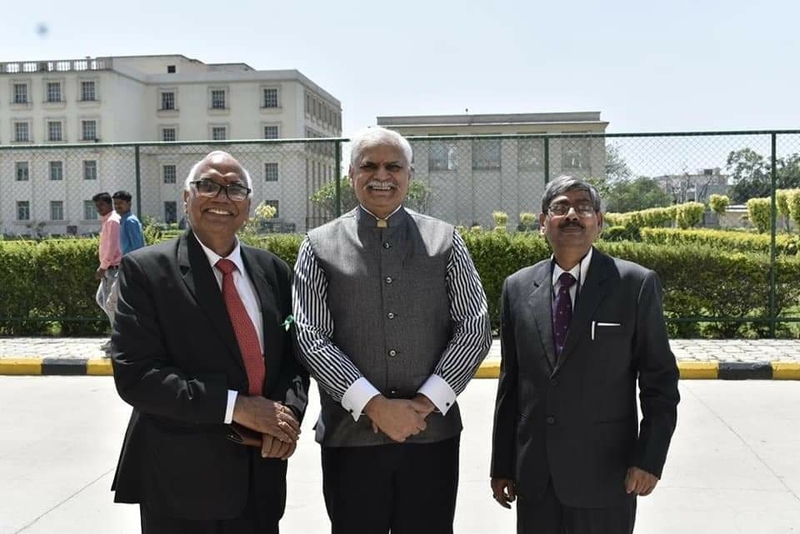 Prof. Bharat Raj Singh,DG (Technical), SMS, Lucknow and Sr. Environmentalist also participated and raise the issue to form committee to decide common agenda related to public in general and Countries Security, Development and Economy on top..
14th Apr 2019: i). 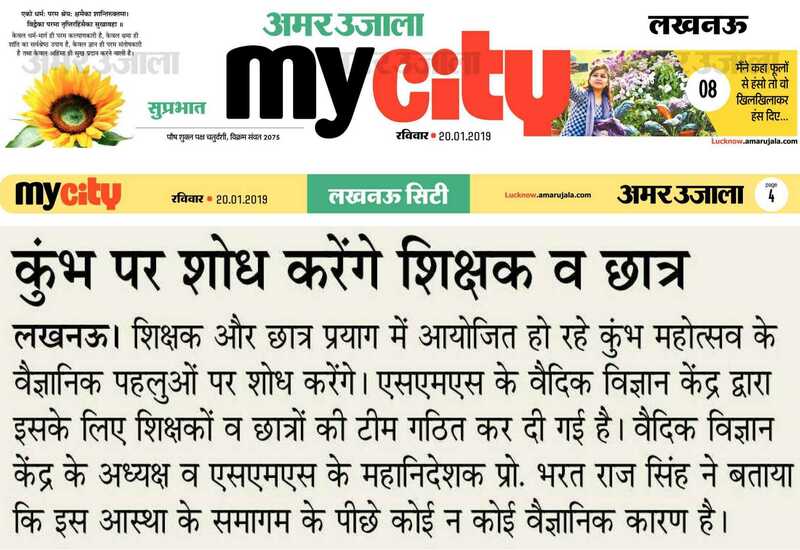 Amar Ujala pdf (MyCity Page 07) / jpg (MyCity Page 07) . 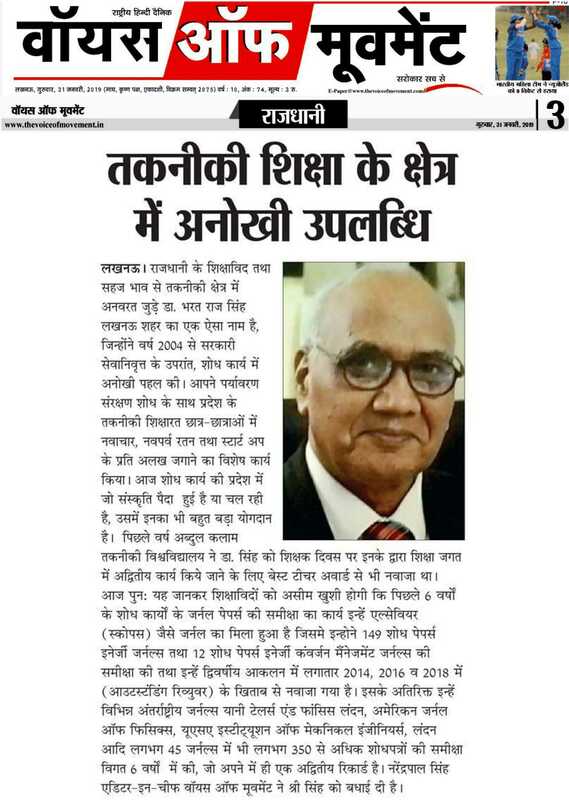 Indian Education and Status of Engineering-A Report analised by Prof. Bharat Raj Singh), Director General(Technical), School of Management Sciences, Lucknow. 18th Apr 2019: i). Rashtriya Prastavana pdf (Page 04) / jpg(Pg 04) / ii). 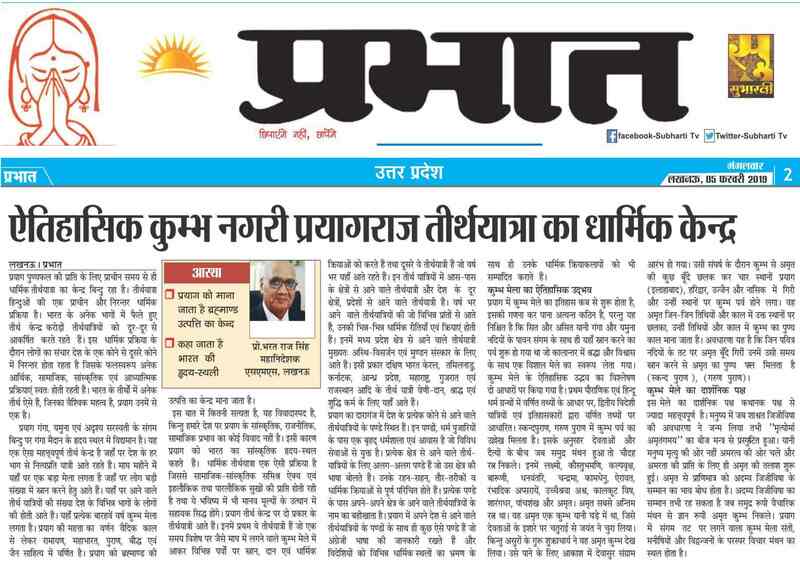 Aryavrat Kranti pdf (Page 01) / jpg(Pg 01) / 20th Apr 2019: iii). 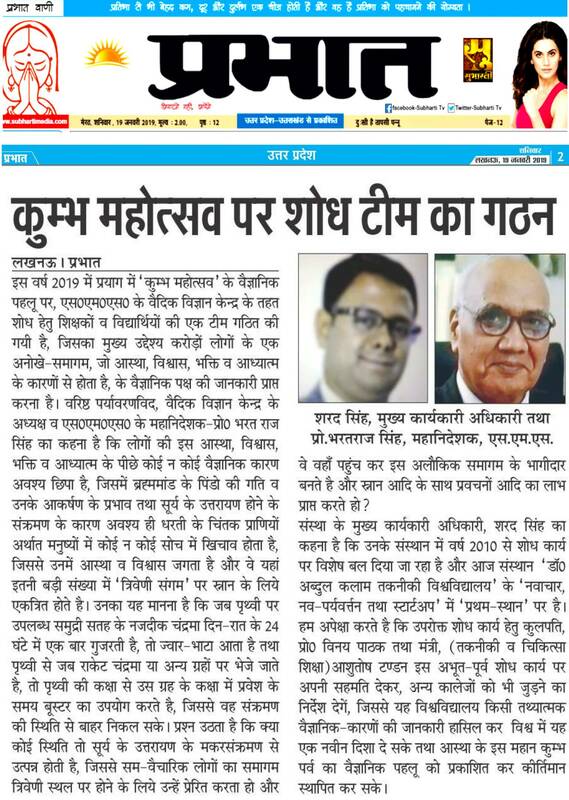 Hindustan (Hindi) pdf (Page 09) / jpg(Pg 09) . 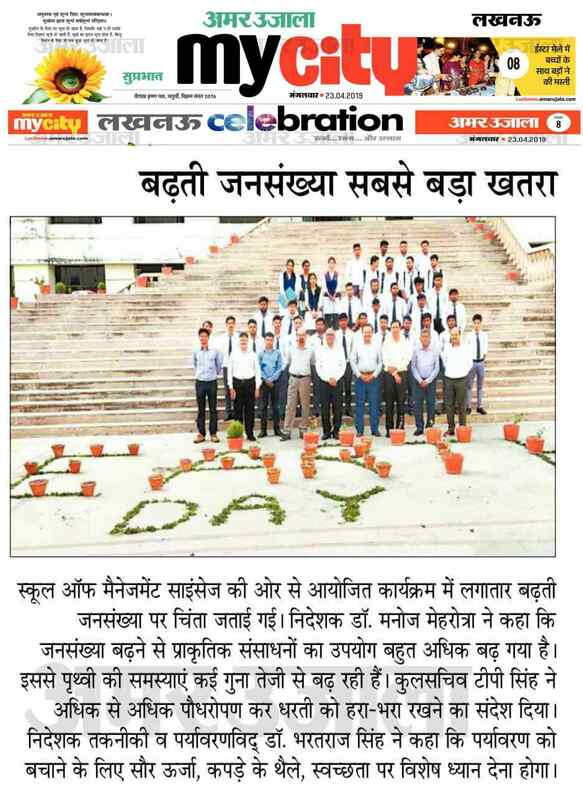 World Earth Day-2019 was celeberated by Prof. Bharat Raj Singh), Director General(Technical), at School of Management Sciences, Lucknow in which Director, Prof. Manoj Mehrotra, Registrar, Mr TP Singh, HOD's & Faculty members and Students participated to this event of Save Earth & Save Life. 22th Apr 2019: i). 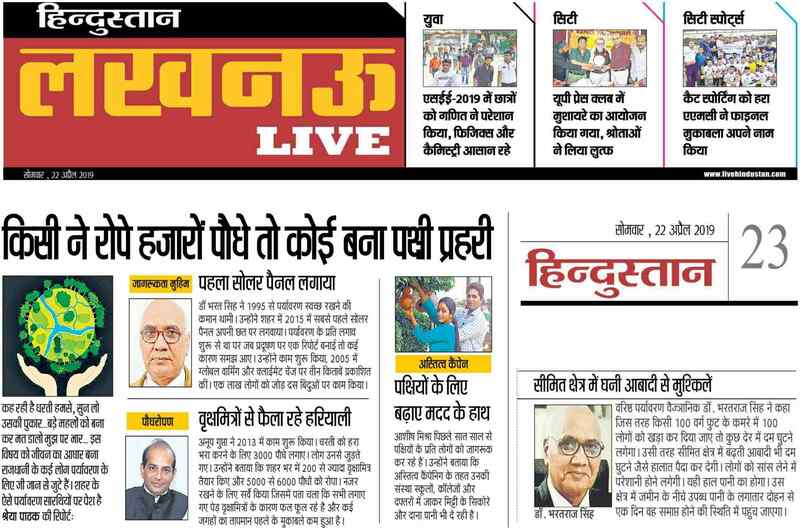 Hindustan pdf (Page 01 & 03) HindustanLive / jpg (Page 01 & 03) / 23rd Apr 2019 ii). 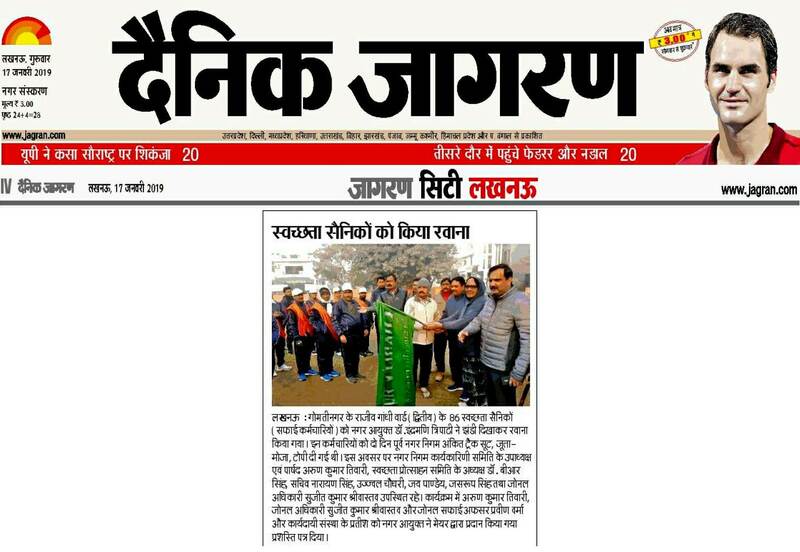 Amar Ujala pdf (Page 08-myCity) / jpg(Pg 08-myCity) / iii). 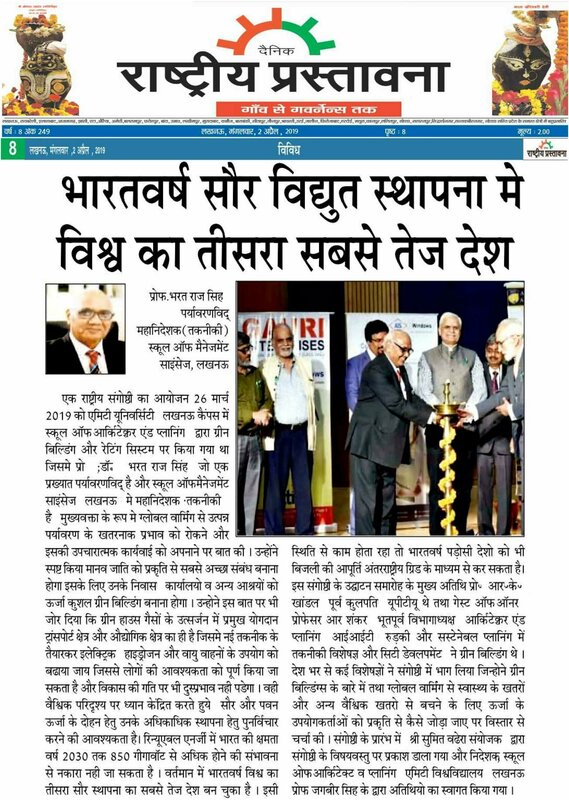 Nav Bharat Times pdf (Page 04) / jpg(Pg 04) / iv). 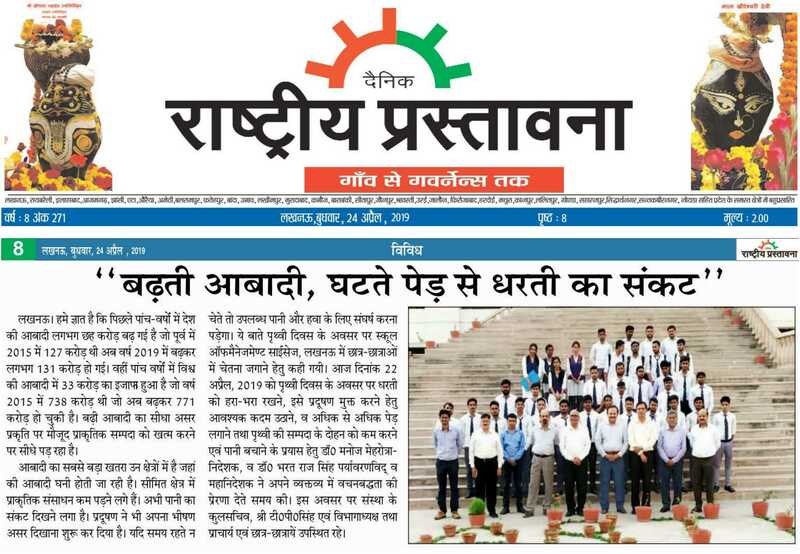 Dainik Prabhat pdf (Page 03) / jpg(Pg 03) / 24th Apr 2019: iv). 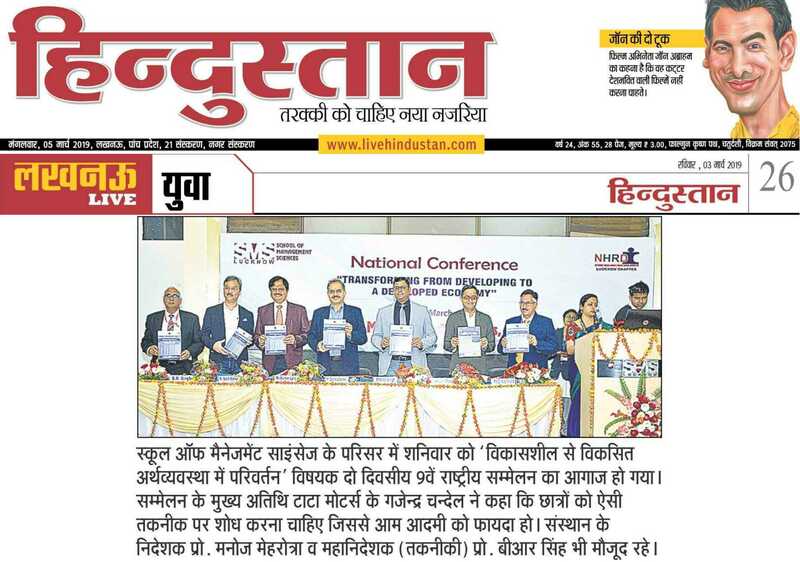 Nav Bharat Times pdf (Page 08) / jpg(Pg 08) .